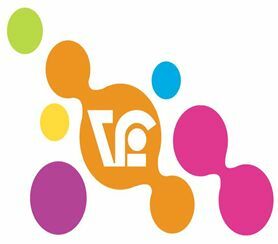 Δραστηριότητα The ACHAIA DESIGN STORE engages in graphic arts from the design up to the realization of an idea and counts numerous design and printing works for over 18 years both in the Greek market and abroad . Working with us to new ideas and techniques ensures effective solutions that will imprinted in your memory ! 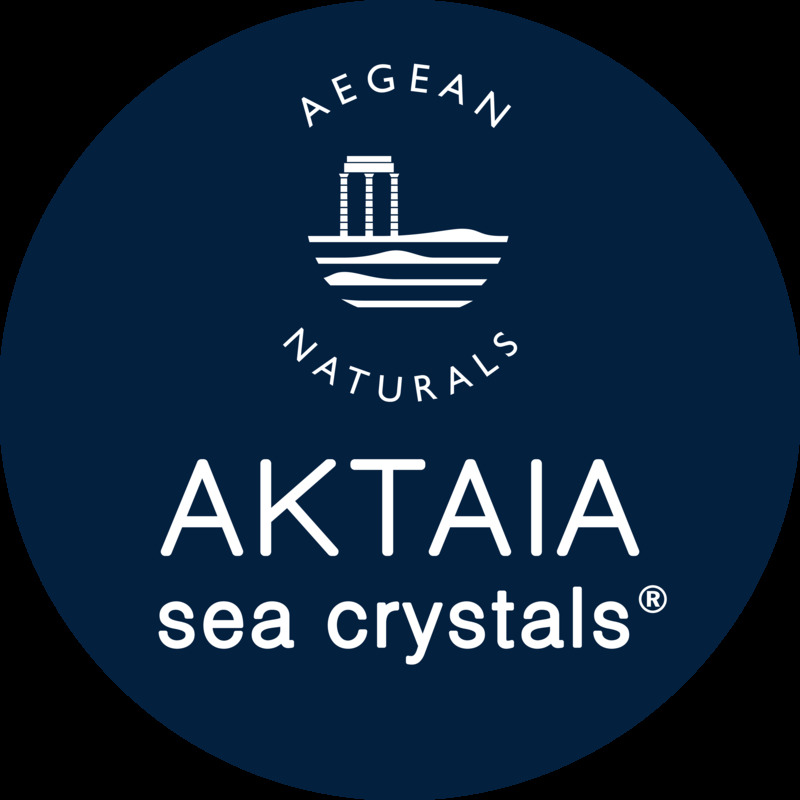 Δραστηριότητα AKTAIA SEA CRYSTALS® UNIQUE & PREMIUM SEA SALT What the company -Aegean Naturals- does, is farming the Aegean sea to hand-harvest the most crunchy & nutritious salt crystals! This awarded sun-shiny sea salt preserves intact all beneficial trace minerals. Clean sea water is crystallized & dried in a pollution free environment under sun or air power. No processing, no washing is required. Be prepared to enjoy a striking crackle of ocean that mildly hits the palate & exalts any dish! 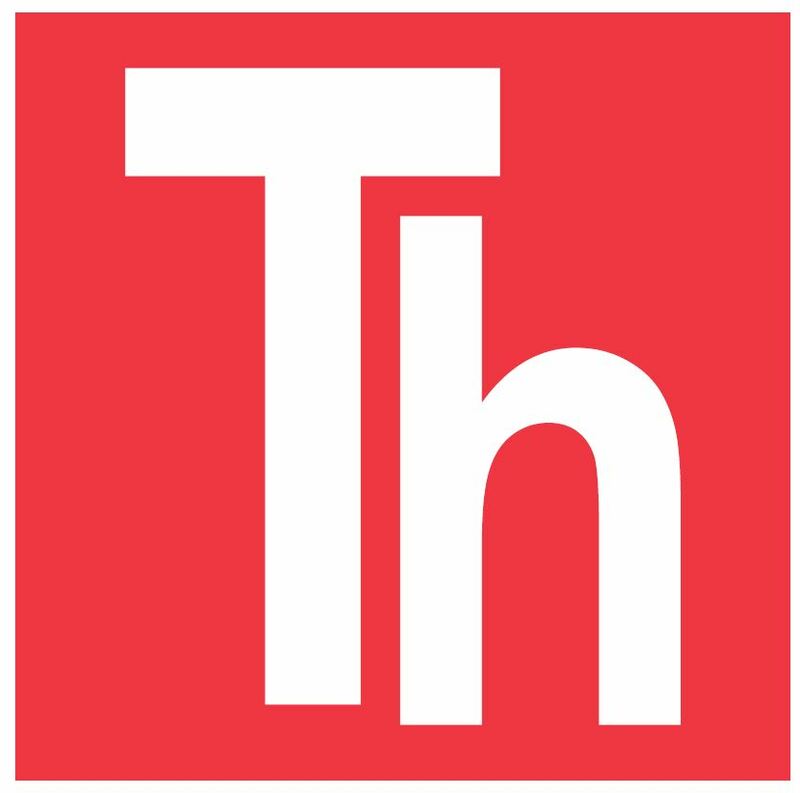 Δραστηριότητα "Bonum terrae" stands for "Εarth's Goods". When it comes to the soil of Greece, the Cretan Extra virgin olive oil is one of the most representative products with its unique properties due to the sun, the soil and the Mediterranean climate. Our vision is to create branded products with stable quality, that serve modern nutritional needs and are distinguished for their flavour and aroma. Bonum Terrae has exported its low acidity Cretan extra virgin olive oil to many countries, from China and Bahrain to EU countries. Our extra virgin olive oil products have been awarded in well-known international olive oil contests. Δραστηριότητα Chefstories was founded as a boutique catering company by Eleni Koumedaki, a biologist, who decided to get professionally involved with her big love, cooking and Sylvia Koumedaki, an advertising and media executive, who decided to use her knowledge and experience, to organize and promote, her sisters' cooking art. Thanks to specific catering needs the first two Greek chutneys emerged, which were very appealing. The idea of creating sweet and sweet & sour handmade jams and chutneys followed soon after. 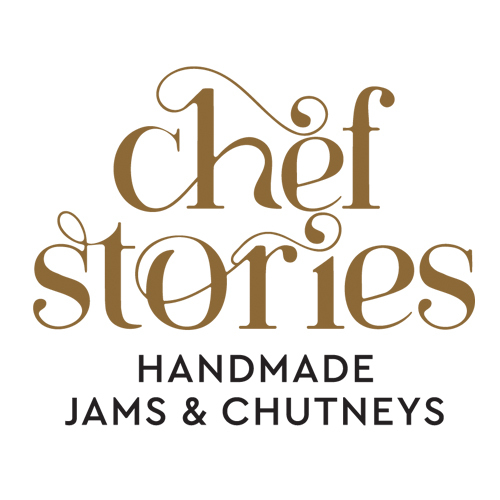 Chefstories jams and chutneys are natural products, from fruits and vegetables, originated from local producers, from the Greek land. They are handmade, with no preservatives or flavorings. They are all enriched with extra ingredients, spices and herbs, in order to gain a "special" character. They are gluten free and vegan. 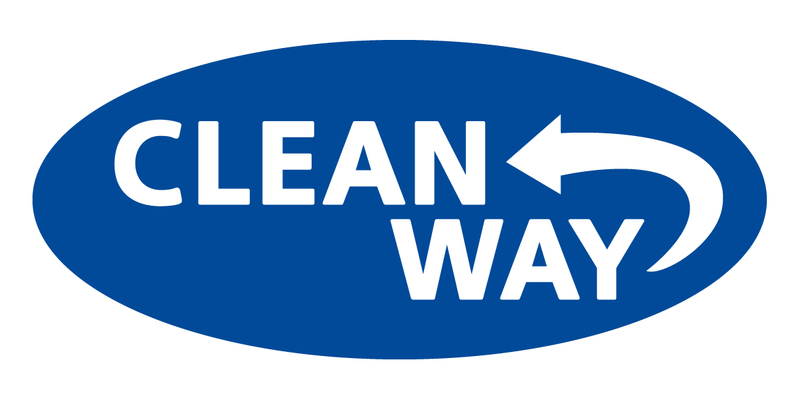 Δραστηριότητα CLEANWAY is a Greek company which produces detergents, ecological detergents certified with the European "Eco Label" and cosmetics. The company guarantees quality products by applying to the production process international quality standards: ISO 9001, ISO 22716 and for environmental management ISO 14001. Δραστηριότητα With love, care and professionalism, we began the cultivation of snails in facilities with advanced methods of technology and know-how in order to achieve their quality breeding.COCHLEA GARDEN cosmetic products stand out for their innovation and effectiveness by collecting the saliva secretion and receive its active ingredients at 100%. COCHLEA GARDEN's formulas stand out from the others, because the natural collagen and the components of the snail's secretion are combined with the newer generation of active molecules. Their action on the skin is proven through clinical studies and immediate. COCHLEA GARDEN is distinguished by the quality of cosmetics products that have been designed and designed by the Department of Research, Development and Studies of the company and have been produced according to the regulations of the Hellenic Federation of Veterinary Medicine and the EU and with Good Productivity Certification (GMP). Δραστηριότητα Το Coffees.gr είναι μια εταιρεία εισαγωγής-εξαγωγής που ιδρύθηκε το 2007 στην Αθήνα. Κύριος στόχος μας είναι να προσφέρουμε ένα ευρύ φάσμα προϊόντων υψηλής ποιότητας καφέ, συμπληρωματικά προϊόντα καφέ, εξοπλισμό καθώς και αξεσουάρ. Το Coffees.gr παρέχει βιώσιμες και αξιόπιστες υπηρεσίες παράδοσης, διατηρώντας υψηλή διαθεσιμότητα αποθεμάτων σε ιδιωτικές αποθήκες. 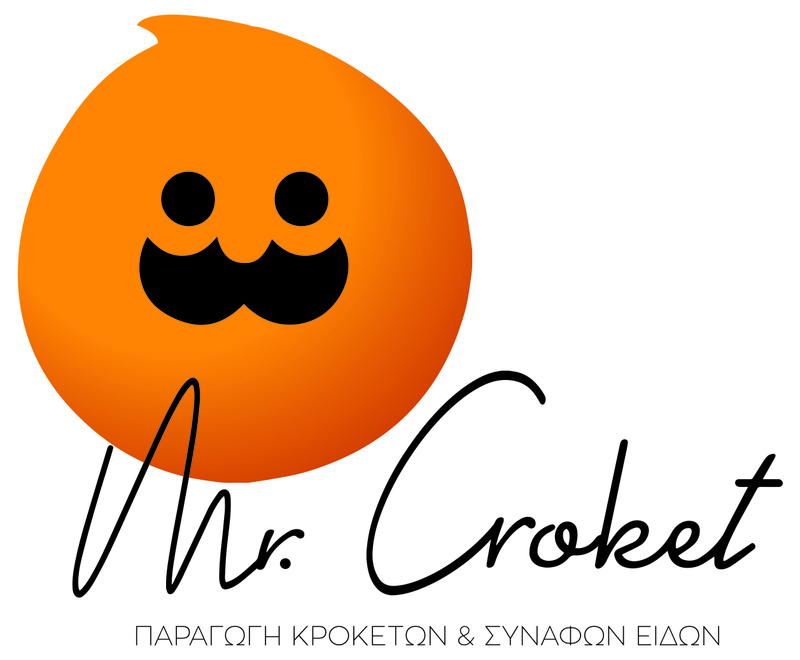 Δραστηριότητα https://www.facebook.com/EnElladiMini . 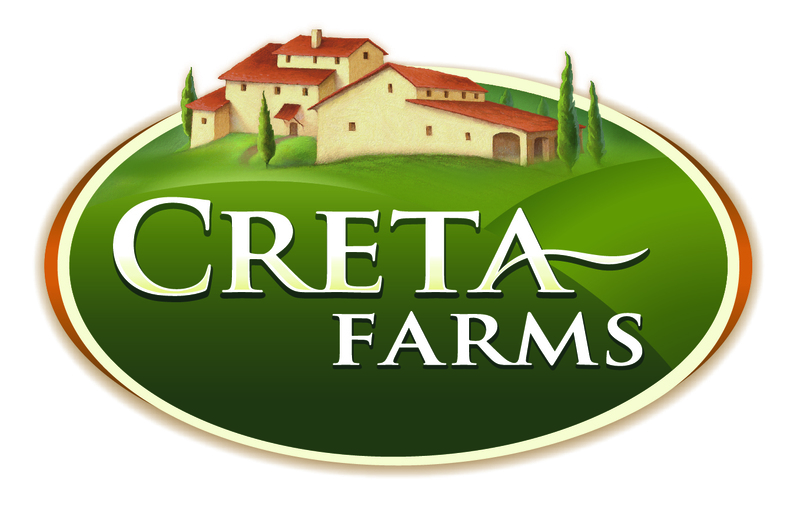 Η Creta Farms είναι μία αμιγώς ελληνική εταιρία η οποία αποτελεί τον μεγαλύτερο εξειδικευμένο όμιλο επιχειρήσεων κρέατος και αλλαντικών στην Ελλάδα. Όραμά μας να δημιουργούμε και να προσφέρουμε προϊόντα υψηλής διατροφικής αξίας και απαράμιλλης νοστιμιάς. Δραστηριότητα ''The history of the DERMISIS family in the area of Baking began on 1881 by Athanasios Dermisis. Today, after four generations it continuous with the Biscuit Production growing in fame day by day by using the original recipes transmitted from generation to generation, natural ingredients, the insistence in quality, consistency and excellence, the same enthusiasm for new things, and the same love for anything baked. 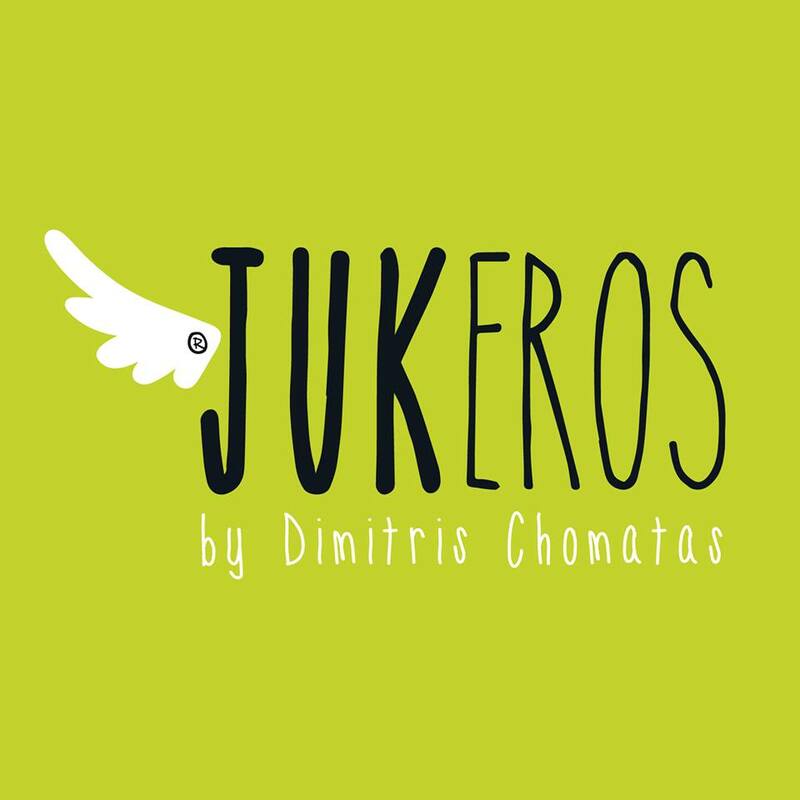 Today DERMISIS produces a variety of Greek Traditional Products, Cookies and Biscuits. Innovation & imagination are also being applied to the development of new products that meet changing tastes, eating habits, modern life and health requirements. Following the international trends for new healthier solutions for the consumers, we provide products based on oat, full of fibre and with rich taste! These come along with our mainstream range such as digestive biscuits, cookies, zero sugar biscuits and baby biscuits! Δραστηριότητα Desserta Hellas is an affiliated company with Berglandmilch eGen.It operates for 11 years now in the Greek and Cypriot markets and in the markets of the neighboring Balkan countries.Lately,Desserta Hellas areas of responsibility are also the U.S.,in the 1995 and today is the largest company in the food industry in Austria with approximately 1600 employees,processes 1.3 million kilograms of milk per year-2014.It also has strategic partnerships with the largest dairy industries in Greece. 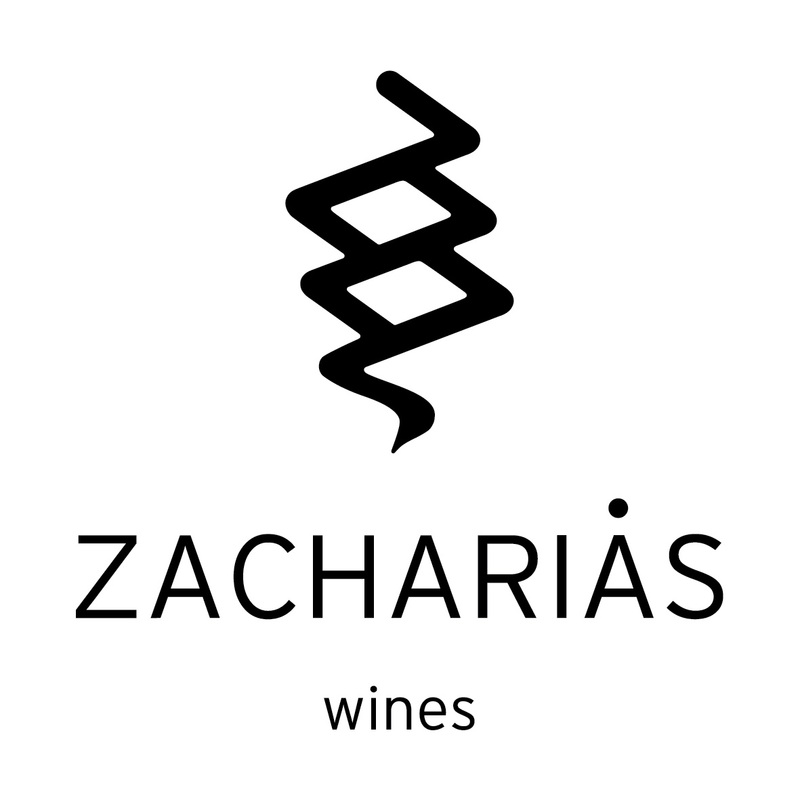 Δραστηριότητα Delectable, everyday, value-for-money wines. Inspired and inspiring bottles. Unforgettable vintages. Minuscule quantities. Magnificent occasions. Bold, confident winemaking. At Domaine Skouras you see, we don't just make wine. We flirt with whites that turn heads. We are flamboyant with our intense ros?. We fall in love with reds and pack them with finesse. We are romancing with rare bottlings that you will enjoy for -and in- years to come.The philosophy permeating all of the Domaine's wines is reflected in the words:- purity, varietal clarity-tracing of the region's mesoclimate- imprint of the terroir. Δραστηριότητα Στόχος μας είναι να πάρουμε πάνω μας το κομμάτι της Τελωνειακής Διαδικασίας, να κάνουμε τη δουλεία μας γρήγορα, υπεύθυνα και αποτελεσματικά, χτίζοντας μία σχεση αμοιβαίας εμπιστοσύνης και εκτίμησης με του πελάτες μας. 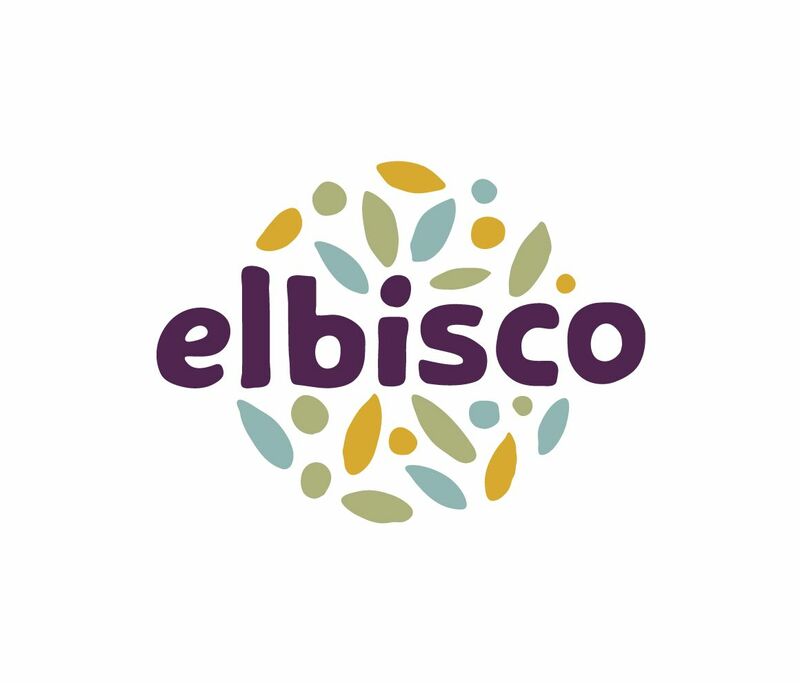 Δραστηριότητα https://www.facebook.com/elitegreece/ https://www.facebook.com/KrisKrisGr/ ELBISCO S.A. is a leading Greek producer of branded bakery products. It offers to the consumer innovative products of high quality, natural and premium ingredients and delicious taste which all contribute to daily balanced nutrition. Δραστηριότητα In the village Rodhia, Kyparissia of Messinia, at Peloponnese, in the center of a real Greek agricultural "Paradise" is located the "Greek Pony Farm", the farm of the Nikolakopoulos Family. In a blessed area, where the Greek land generously offers its unique fruits from antiquity until today. The family tradition of four generations is present everywhere in the olive groves and the lands of the farm. The personal care of every detail begins from the crops and the infrastructure and is concluded to the production and standardization of all products. For the Nikolakopoulos family, the Farm is a way of life. 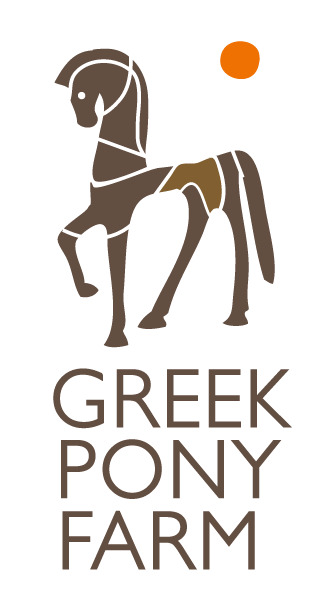 And this is obvious in every drop of the organic extra virgin olive oil, on each selected olive, on each fruit that bears the signature "Greek Pony Farm"! 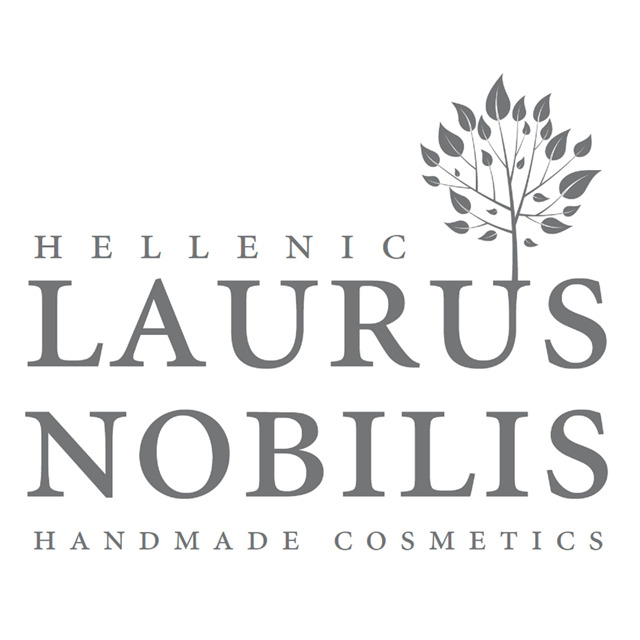 Δραστηριότητα Laurus Nobilis Hellenic is a Greek family business founded in 2012 with purpose the production of natural cosmetics based on fresh ingredients and with "love" for handmade quality product. We are making soaps, which give cleanliness, wellness, health and newness. Beeswax salves for protection, hydration, nourishment and regeneration. Sea salts, body, beard and hair oils, facial toners and herbal oils, which are used on a wide range of cosmetology. For Laurus Nobilis natural cosmetics we use only raw materials from certified producers such as vegetable glycerin, bee's wax, butters, vitamins, essential oils, fruit juices and herbal substances, the beneficial parts of the plant without additional chemicals and preservatives. 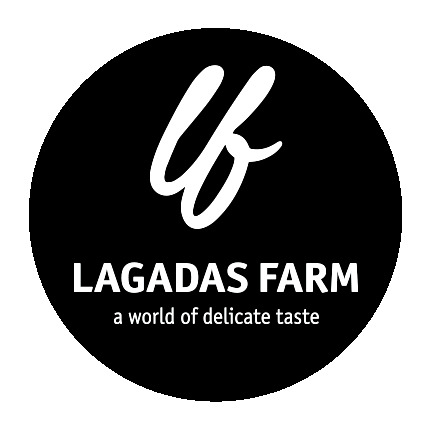 Δραστηριότητα Lagadas Farm is a concept! With the utmost respect to gastronomy and tradition, to the earth and its fruits, to the food and its recipients, we make pickled vegetables.In 2010, founder Nikos Kamariotis and his son Angelos decided to start a gastronomic journey, with an emphasis on tradition, to redefine pickled vegetables.Our company has participated in national and international exhibitions such as TIF-HELEXPOS Detrop 2015 and Detrop Boutique 2016 & 2018, Food Expo 2016 & 2018 in Athens and Places & Flavors’#oriste Europe Event 2017. We are also proud to announce that we will participate in the #oriste World Event 2018. Lagadas Farm is honored with the Packing and Design Award from Detrop Boutique 2016. Lagadas Farm is ISO 22000 certified. 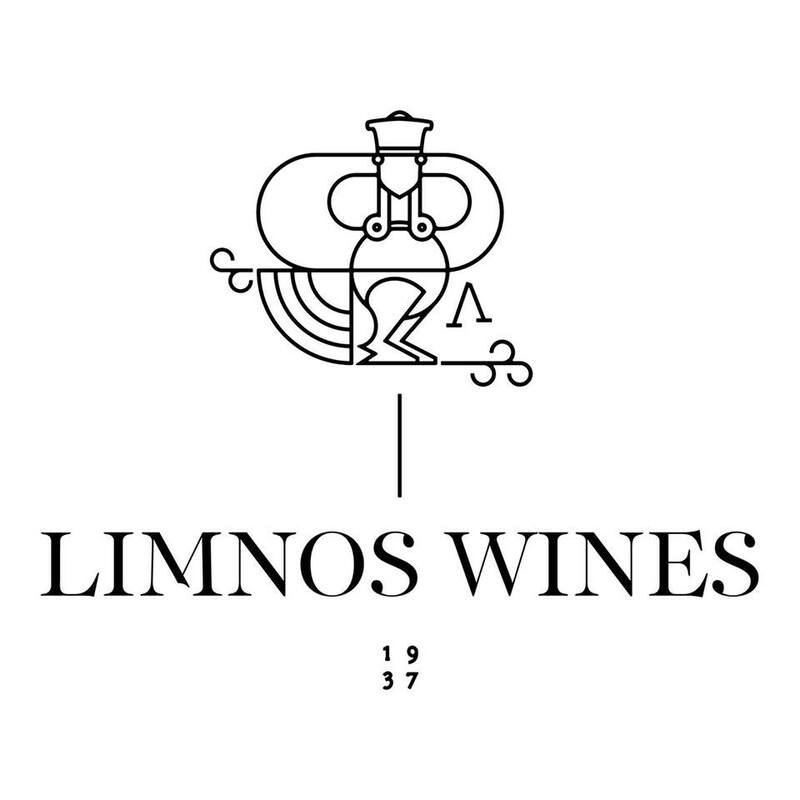 Δραστηριότητα Cooperative of Limnos, established in 1937, is exercising the art of winemaking with, experience and respect to the island and the quality products of Terra Lemnia. Under the brand name Limnos Wines, produces a wide range of 10 labels of bottled wine, plus choices in bag-in-box and PET. 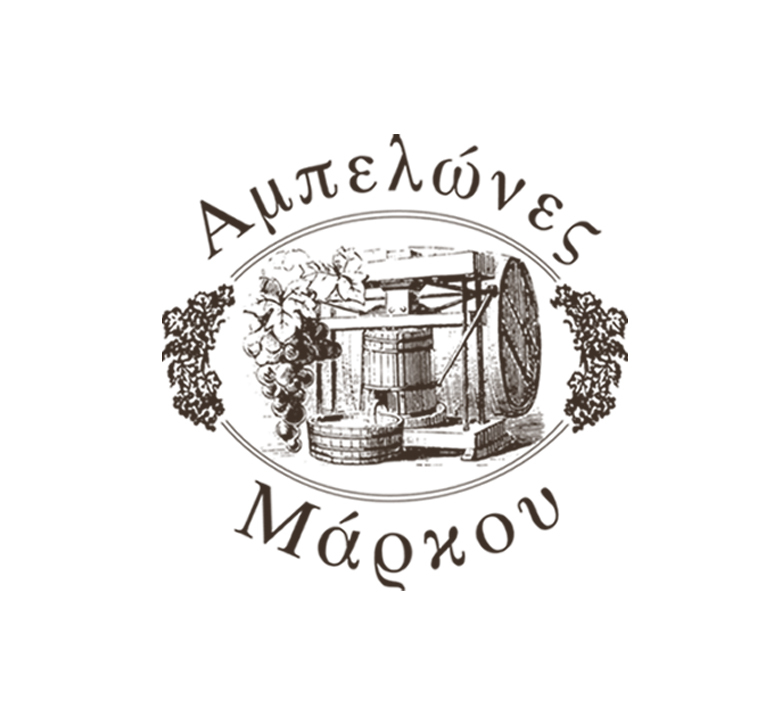 Δραστηριότητα The Markou winery makes the best of the production of 10 hectares of privately-owned Attican vineyards and 10 hectares of privately- owned vineyards in Nemea on the Peloponese peninsula; a great part of which is currently organically cultivated. This production is supplemented with grapes of fine viticulturists whose work the winery guides according to its quality expectations on winemaking and with whom the Markou family sustains long and steady collaborations. Namely, the grape varieties which are cultivated are Savatianno (indigenous of Attika), Agiorgitiko (indigenous of Nemea, Malagouzia, the French Chardonnay, Cabernet Sauvignon & Merlot. 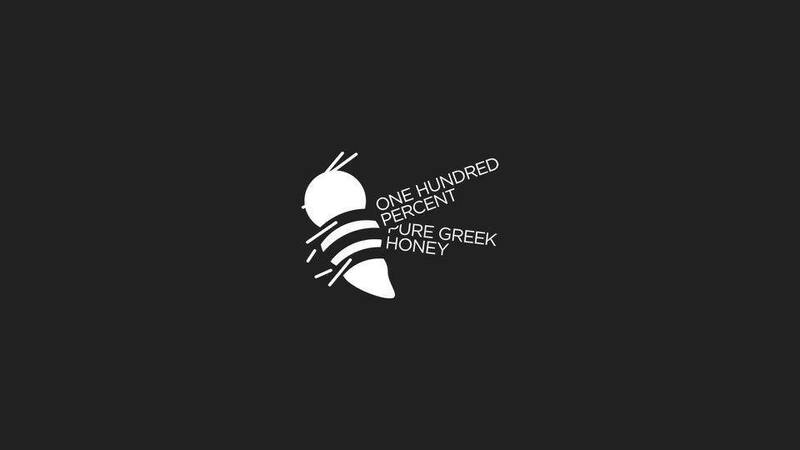 Δραστηριότητα We are a family business of packaging, produce and export honey from Northern Greece. Our honey is pure and always will, it keeps all its ingredients and has excellent quality. We have personal contact with the our producers and the beekeeping area to be sure about our quality. We assure you that we have all the necessary means and certifications to support the product and a long experience in honey production. Δραστηριότητα Extra Virgin Olive Oil is the core ingredient of the celebrated Mediterranean diet. This is why we, at Nature Blessed, traveled all around Greece, in search of farmers and producers whom we share the same values with; using optimal growing conditions, farming practices and harvesting techniques, all based on sustainability. Our journey led us to less known paths full of small treasures waiting to be discovered.With our love of olive oil, and combining our deep knowledge of traditional production techniques and high-tech quality control, we are able to provide you with these hidden treasures of the Greek nature. 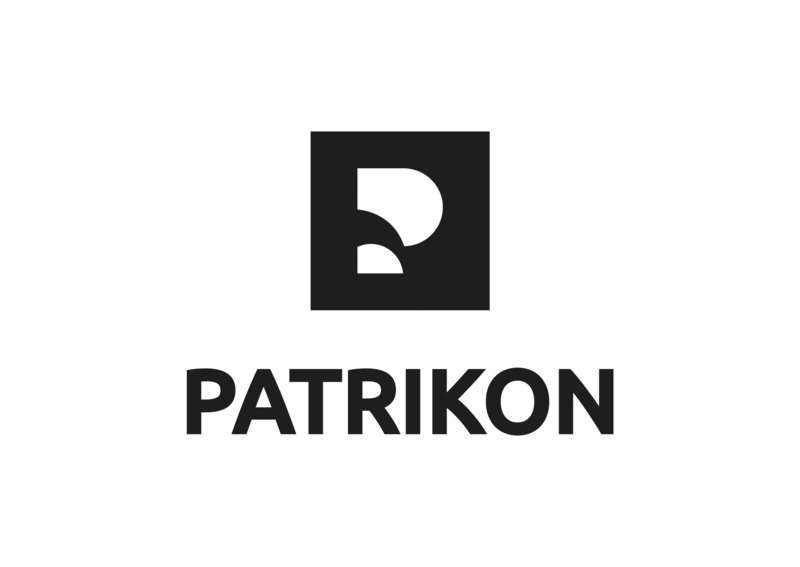 Δραστηριότητα Patrikon. 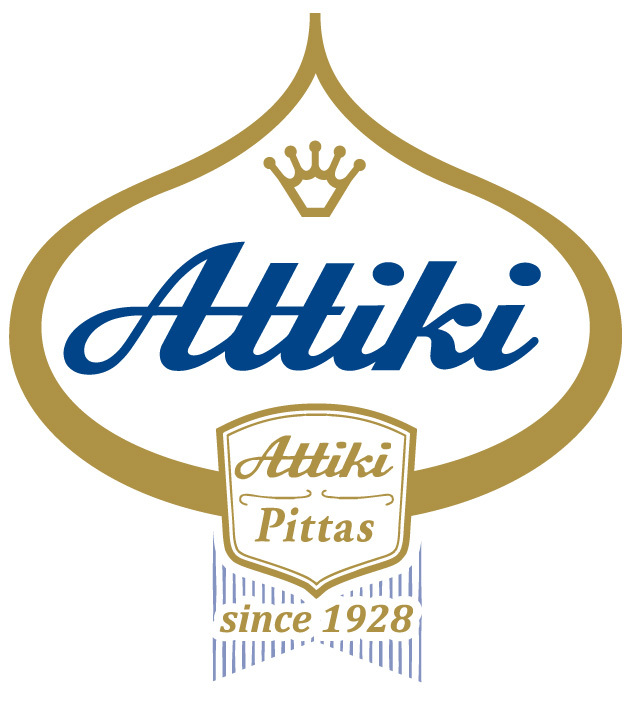 We have been producig and selling Traditional Greek products for over 20 years. Whole honey pasteli based on an authentic monastic recipe. And so we created the finest handmade "Melichio" and "Greek Bliss" pasteli bars with the purest ingredients that make them unique. 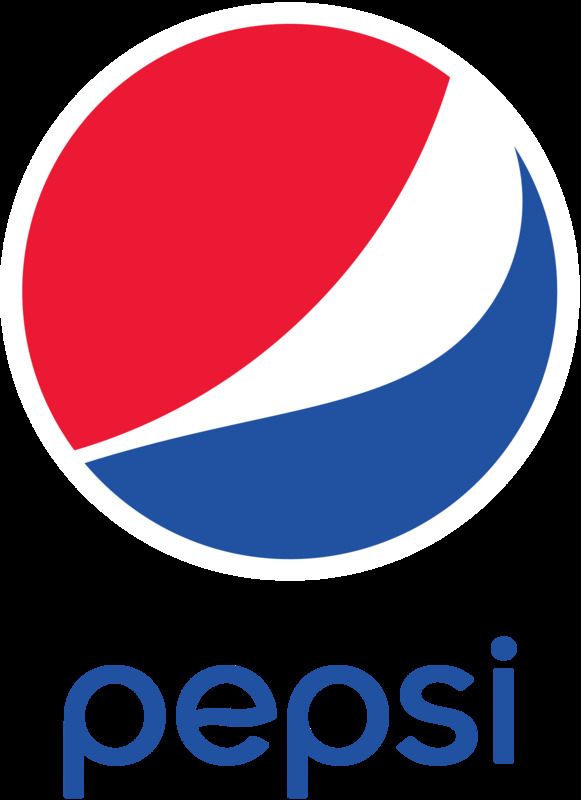 Δραστηριότητα Η PepsiCo-ΗΒΗ, είναι μία από τις μεγαλύτερες εταιρίες αναψυκτικών στην Ελλάδα. Τα προϊόντα που προωθεί στην ελληνική αγορά με βασικό γνώμονα την ποιότητα είναι τα δημοφιλή Pepsi, 7up και Lipton ice tea, οι χυμοί και τα αναψυκτικά ΗΒΗ, το εξαιρετικής ποιότητας και γεύσης νέο προϊόν Lemon Lemon, καθώς και τα νεανικά και απόλυτα επιτυχημένα ενεργειακά ροφήματα Gatorade, Mountain Dew καιRockstar. 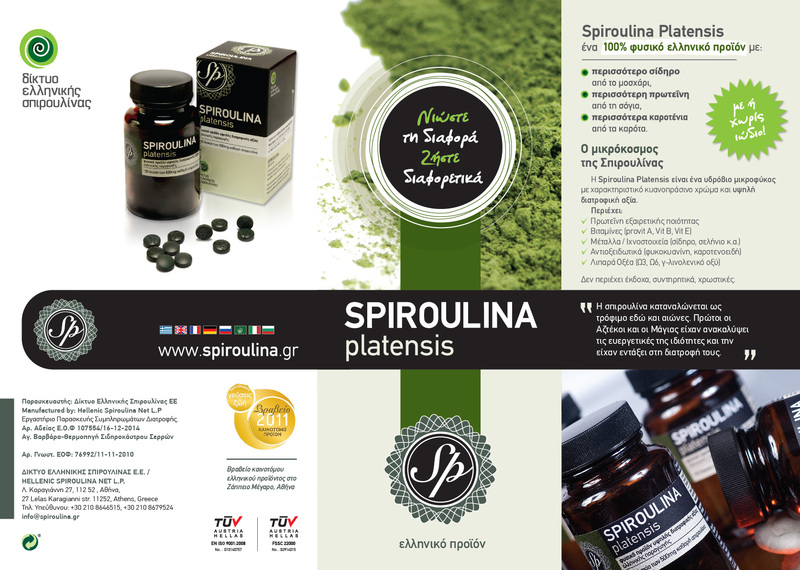 Δραστηριότητα Pharmex S.A. is a developer and worldwide distributor of Pharmaceutical, Cosmetics, Food Supplements & Superfood Cereal products, that satisfy even the most demanding consumer, as well as Health professionals, Pharmacists and Dermatologists. With a prominent course of 36 years in the field of dermatological and cosmetic products, maintains at the same time long standing partnerships, as the exclusive importer of foreign brands. Through partnerships with multinational corporations in the medical-pharmaceutical field and with producers of global reach, Pharmex S.A. drives the research and development of innovative products. The implementation of a dynamic and well-staffed business model ensures the success of the company's activities. 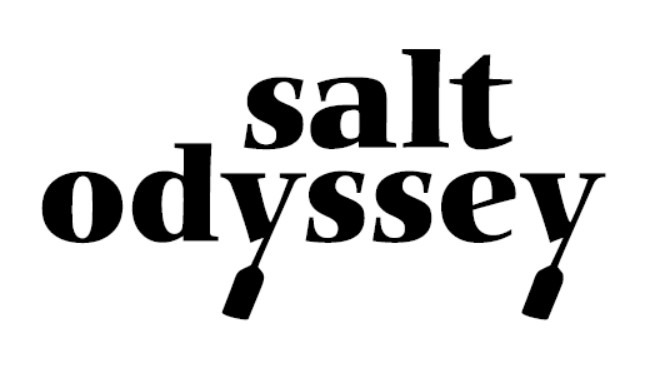 Δραστηριότητα Salt Odyssey is an innovative company in the field of natural, gourmet salts, comprising of young people with love, excitement and profound knowledge in the field of quality foods. It's the export part of BIOdinami, a company founded in 2008 which has become the most awarded salt company in the world! We create our products after studying each one, ensuring that they fulfil the requirements we set as a company and as people, both in organoleptic terms and in terms of their being accompanied by the legal certificates and reports that prove their quality and purity. Special attention is paid to the pricing of the products we have; we ensure that they reach the consumer at attractive prices, in most cases at the best prices of the market, while, at the same time, we secure their superior quality to which we have committed ourselves. Δραστηριότητα SEVEN CHC develop and produces in Greece the well Know Vitamin Water Aqua Power The Vitamin Water as well the ice tea enriched with vitamins My Tea tale. SEVEN CHC corporate philosophy has on top the Human. Based on this axis the product that SEVEN CHC produce demonstrate high added value for the consumer and at the same time are completely different. The Aqua Power the Vitamin Water characterized from the abuse of sugar and has high content in Vitamins. Is available in three flavors, orange, green apple and a combination of elderberry and lemon. The Ice tea My Tea tale is the first ice tea enriched with vitamins and high content in tea infusion, 1,8%. I available in three types, green tea with honey, white tea with apricot flavor and black tea with orange & lemon taste. 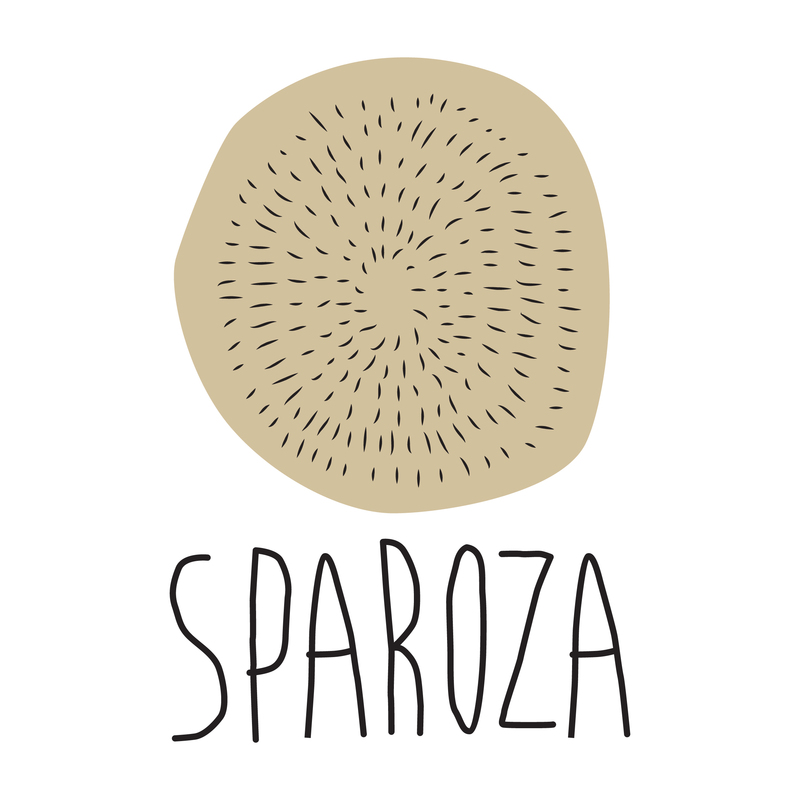 Δραστηριότητα SPAROZA is a Greek family business specializing in the production of Herb, Spice, Fleur de Sel and Citrus Blends, Infusion Teas, Wine Jellies and Sauces. 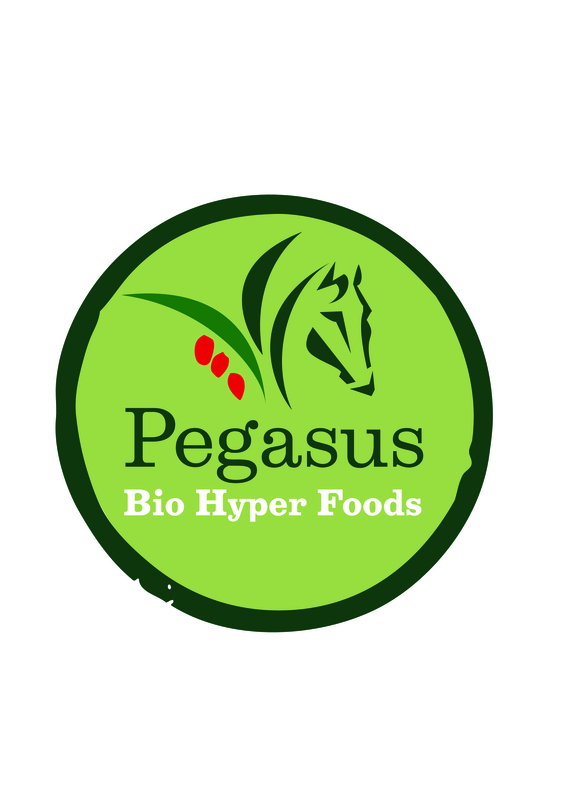 We focus on the quality of raw ingredients, unique packaging, high nutritious value and respect for the consumer. We are deeply committed to offering genuine products of supreme quality, taste and aroma, reflecting our country's abundant flora, mild climate and long sunshine periods. Δραστηριότητα TENTOURA CASTRO - G.P HAHALIS" is one of the most famous and traditional distilleries in Greece. It is a family business which has its origins in Chios island in the 19th century and has been installed in Patras since 1939. 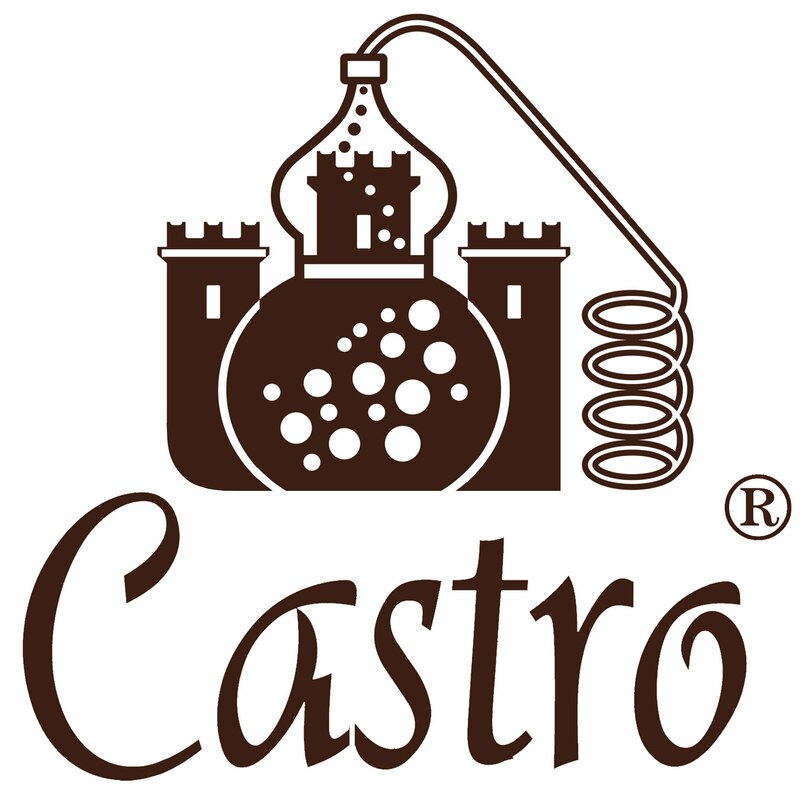 It produces excellent quality products: Liqueurs, Vermouth, Ouzo, Brandy, Bitters and more! Δραστηριότητα ''Our business is based on the quality and the unique taste of the extra virgin olive oil Ermionida. The climate of Ermionida is the most appropriate for such a level of taste and quality. Our factory has a chemist quality control by the Greek state. The variety of our olive groves are Manaki and Koroneiki. EN ISO 22000 : 2005, EN ISO 9001 : 2008 and HACCP and other certifications ensure our good and healthy cooperation. Each year, 1,500,000 liters of fresh olive oil are standardized and flown to Greek businesses and over 25 countries abroad. You can visit our facilities and our olive groves in Kranidi and Ermioni whenever you want. At your disposal. Δραστηριότητα TRESORS DE GRECE is a selection of the finest delicacies that the Greek gastronomy has to offer. Superb raw bee-honey. Organic olives & olive pate. Sun-dried tomatoes & pate. Sea-salt crystals from Messolongi with organic herbs from Pelion. Bread crackers from Crete & Kythira. Tahini, sesame-oil and fruits in syrup from Lemnos. Produced with 100% Greek - top quality - raw material, with zero or minimal processing. Awarded with 24 Taste & Design awards in UK, Zurich and Athens. Certified: Organic (BIO), Non-GMO, Vegan, Vegetarian, ISO22000. 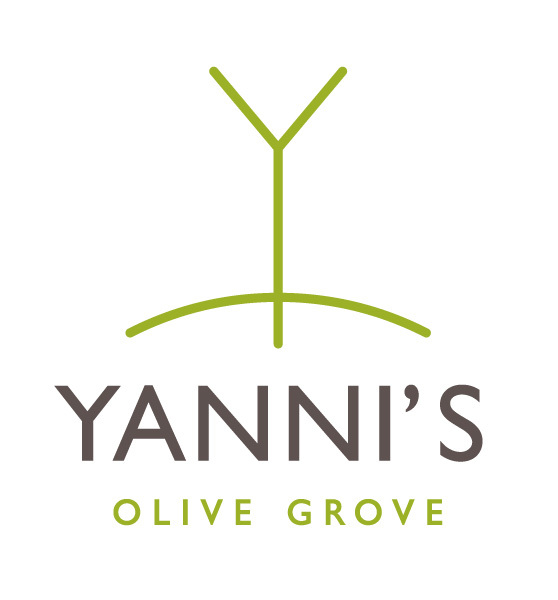 Δραστηριότητα YANNI'S OLIVE GROVE is a family company, located at Chalkidiki. We cultivate on our waterfront estate 6500 local Chalkidiki olive trees. Through ideal production conditions, certifications and collaboration with the scientific community, our main objective is to produce olive food products with the highest possible quality. Maximum environmental protection is achieved through integrated management and green practices. Our EVOOs were honored with more than 46 international quality awards and they belong in the TOP EVOOS OF THE WORLD. Keeping our innovative character, we recently launch out a new unique perfect for healthy snacking product called the Honey and Candy Olive Snacks, based on the Mediterranean Healthy Diet. 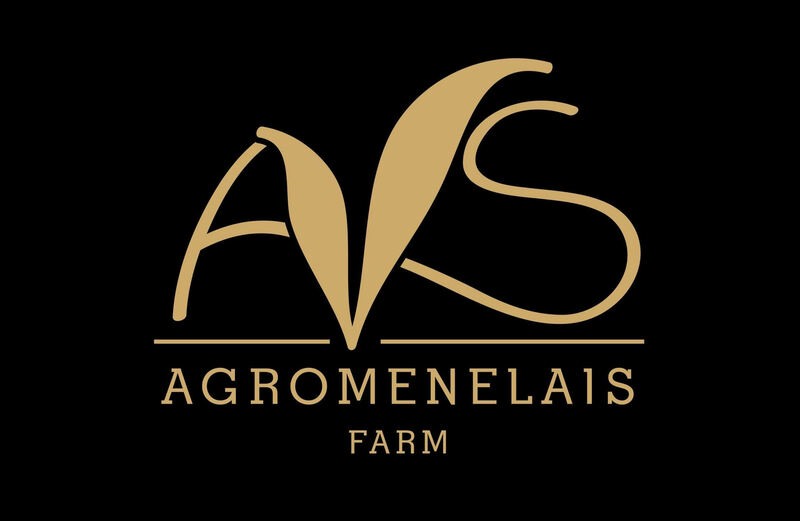 Δραστηριότητα Agromenelais farm is Greek company located in the village at an altitude of 800 meters in the mountainous region of Karditsa. From year 2012, we have been organically cultivating the superfoods blueberry, aronia and goji berry. Our properties are fully certified organic by 2012 by the TUV Austria operator. These, of high nutritional value, fruit are available fresh to big Greek food chains as well as to From 2016 ANS farm produce organic foods and certify also from TUV Austria operator. Δραστηριότητα Our company boasts privately owned premises occupying 10.000 m2 in a total area of 60 acres, 10 productions lines, 230.000 products packaged per day and approximately 10 tons of frozen products per day, making Almi one of the largest antipasti producers in Southern Europe. Δραστηριότητα The School?s diversified education and research farm is a living laboratory for students of all ages. Since the School?s founding, the Farm has provided students with hands-on experiences that amplify academic learning, bridge disciplines, and spark science-driven innovation. Managed as part of an integrated agro-ecosystem, the Farm aims to demonstrate sustainable farming methods that are economically viable, socially responsible and ecologically sound. 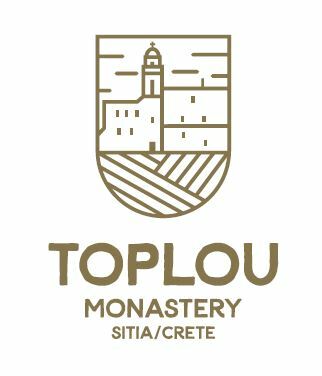 Δραστηριότητα The Ampelou Chora winery was established in 2011 with the aim of creating high quality and limited production wines. 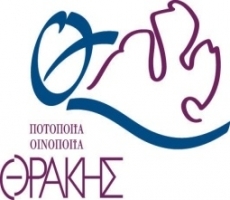 The company is based in Neo Rissio, Thessaloniki - Greece, where the wine production and bottling procedure is located. We vinificate the unique Greek varieties of Malagousia (white), Xinomavro (red) and Verzami (red) and the French Viognier (white) from our own vineyards and from vines of cooperating producers in Chalkidiki. 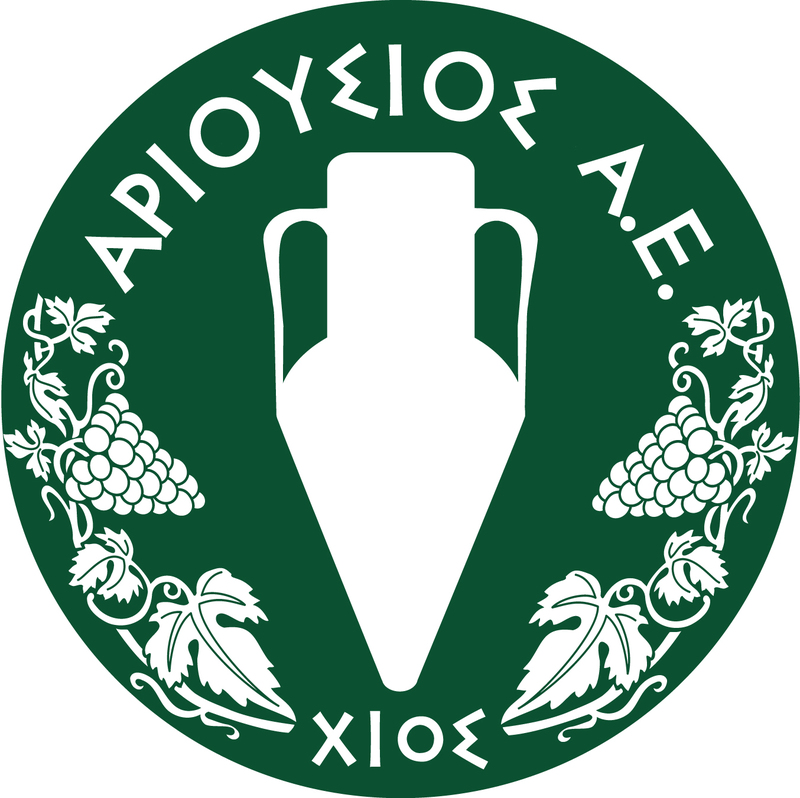 Δραστηριότητα The largest and the most historical (established in 1960) private winery in Nemea, Peloponnese and one of the fastest growing companies in the Greek wine industry. Our winery produces top quality wines from grapes of our own vineyards. We produce different types of wine (including some organic ones) from well known indigenous Greek varieties such as Agiorgitiko, Moschofilero and Assyrtiko, some rare Greek ones such as Sklava and Kidonitsa and from few international varieties such as Merlot, Sauvignon Blanc, Chardonnay, Cabernet Sauvignon, etc. The astonishing growth in our export sales the last years, is a result of the exceptional quality of our wines, and the numerous awards that they have been accredited with, in international wine competitions and contests.Our product range consists of wines in different packages (bottles of 187ml, 375ml, 750ml, 1,5L and 2L and BiB of 5L, 10L and 20L). Δραστηριότητα Η ΑΡΙΟΥΣΙΟΣ Α.Ε. ιδρύθηκε το 2004, ενώ το οινοποιείο εγκαινιάσθηκε το 2009. Στις ορεινές περιοχές της Β.Δ. Χίου καλλιεργούνται οι τοπικές ποικιλίες Χιώτικο Κρασερό και Αγιαννίτης για τα ερυθρά κρασιά, ενώ για τα λευκά οι εξαιρετικές ελληνικές Ασύρτικό και Αθήρι. Εξαγωγές έχουν πραγματοποιηθεί στις ΗΠΑ, την Αγγλία και άλλες χώρες. 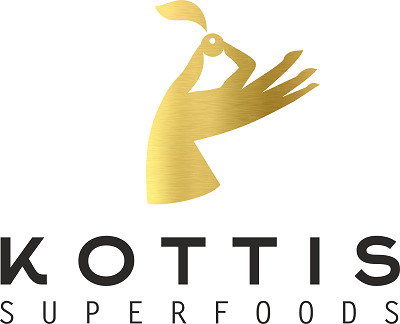 Δραστηριότητα Our company, Kottis Superfoods is a growing Greek Company, that produces organic food products of high nutritional value, primarily based on aronia berries, or black chokeberries, of our own organic farming, in Kyllini on the Peloponnese peninsula. The company's headquarters is in Athens. Our vision and policy throughout the company is to maximize the satisfaction of our customer's demands, with our products of premium quality and packaging, fitting a healthy lifestyle with great taste. Our company is certified with all the necessary ISO, ISO 22000:2005 HACCP, Certifications for Organic (BIO), Non-GMO, Vegan, Vegetarian. We collaborate basically with delicatessen and organic stores, supermarket chains. We are already in many online stores worldwide, recently we distribute HORECA products. We are strategically expanding and position our products in the international markets. ΑΤΤΙΚΗ ΜΕΛΙΣ/ΚΗ ΕΤΑΙΡΕΙΑ -ΑΛΕΞΑΝΔΡΟΣ ΠΙΤΤΑΣ Α.Ε.Β.Ε. Δραστηριότητα ATTIKI Bee Culturing Company is a Greek family company founded in 1928.Today leading honey produrer in Greece being the ambassador of Greek honey worldwide.Since 1928, our belief in the unique benefits of Greek honey has served as the main driver behind the brand's efforts.It follows a strict policy in selecting the best Greek honey varieties and ensuring the high quality and taste of its products while retaining the nutritional value of its honey. 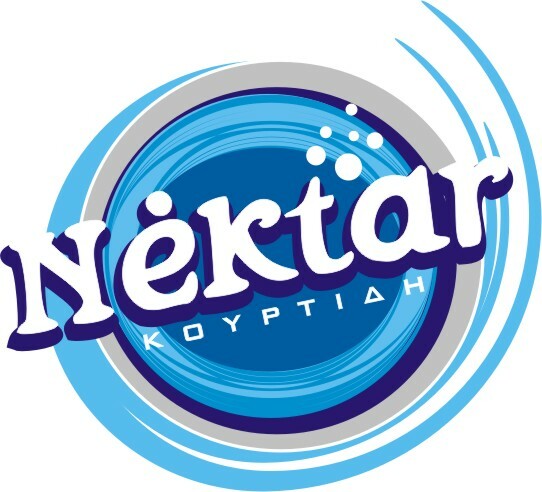 Δραστηριότητα Nektar Kourtidis is a family owned company that produces soft drinks and has been in existence for 83 years. It is located in Serres and it supplies soft drinks to places in Greece and other countries. Today, the third generation is at the helm of the company which is comprised of a specialized staff. 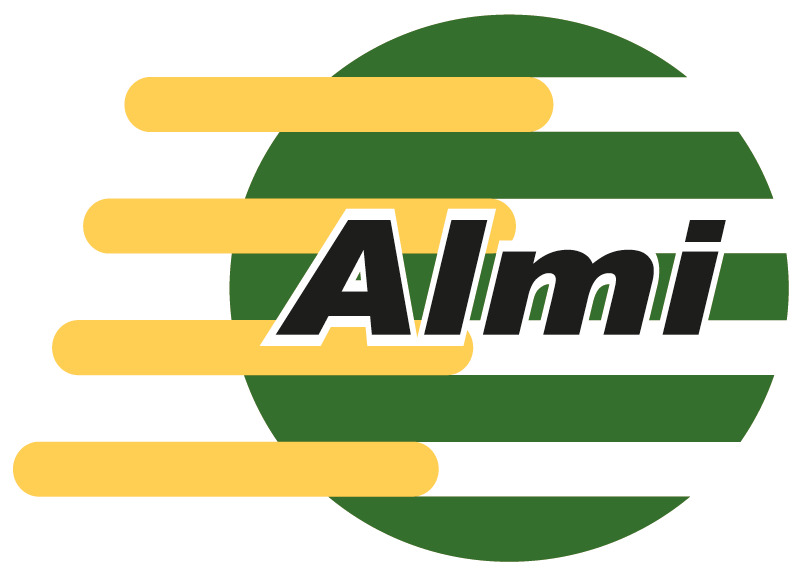 They operate successfully by implementing the Quality Management System according to ELOT EN ISO 9001:2015 and the Food Safety Management System according to ELOT EN ISO 22000:2005 for the production of its products. The company's policy is to ensure the quality and safety of its products, to satisfy its customers, to continuously improve the quality of its products and to develop its staff. Δραστηριότητα KOBATSIARIS BROS S.A. "Amalthea" is a Greek long-established, dynamically client oriented company, providing quality food services & contract catering throughout Greece since 1969. 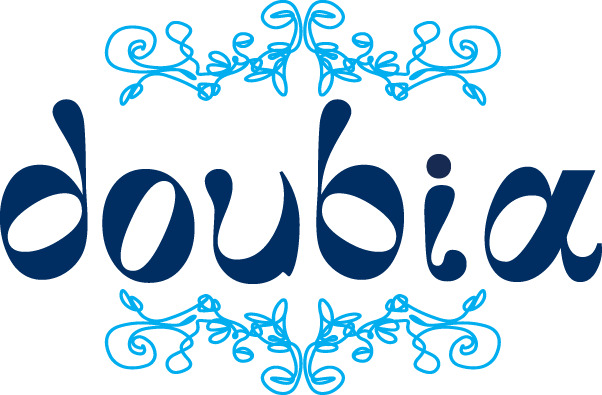 KOBATSIARIS BROS S.A. offers to the clients innovative chilled MAP & frozen excellent healthy, qualitative and tasteful ready to eat meals with no preservatives, Greek Mediterranean Traditional recipes using only Greek extra virgin olive oil. Δραστηριότητα Our Company "BIOKALLIERGITES SITIAS A.E" bottles the largest amount of the produced PDO Sitia olive oil .The equipment and the processes for production and bottling of the olive oil are always according to the model and specifications of the most stringent quality control systems (ISO:22000:2005, IFS, BRC). Our Company exports its products to Europe, America, Australia, and Asia, while it supplies the most important supermarket chains throughout Europe. Δραστηριότητα Our company was established in 1956, in Peloponnese.We proudly hold 1st place in the Greek market of frozen fish & seafood (total share 25% - turnover of 42 million Euros - one of the top 40 F&B companies in Greece). We offer a wide range of innovative products, addressing to both consumers and Food Service. 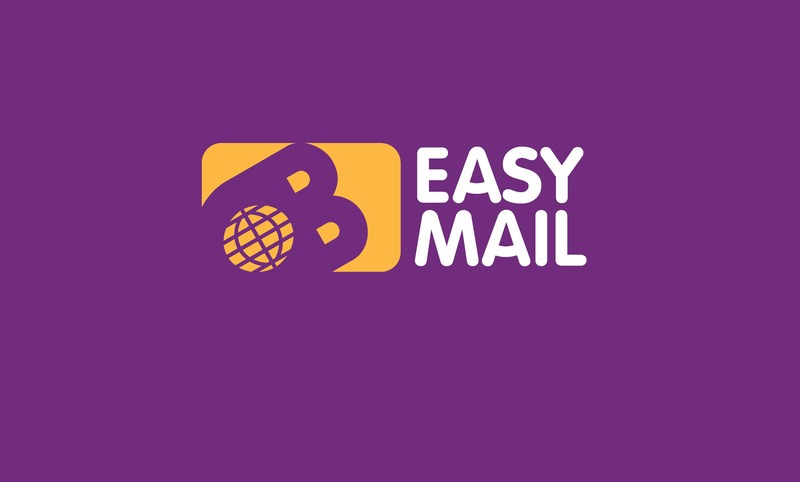 Δραστηριότητα We cover all the stages to make your prints from the basic communication forms to accounting forms. We guarantee both for stable quality and price policy, since 1975 . 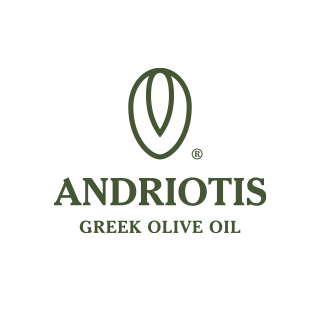 Δραστηριότητα Andriotis is a family business that specializes in the collection, sorting and trading of olive oil for over 50 years. 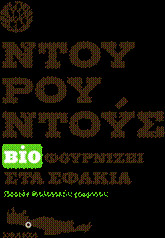 Our long history, expertise and highly trained personnel, as well as the use of the latest technology in all collection and processing stages, have established our business as a reference point in the trade of premium quality olive oil.In the recent years Andriotis has, either directly or through local partners, achieved to collect and distribute olive oil from the entire Greek territory. The company's headquarters is located on the island of Corfu. 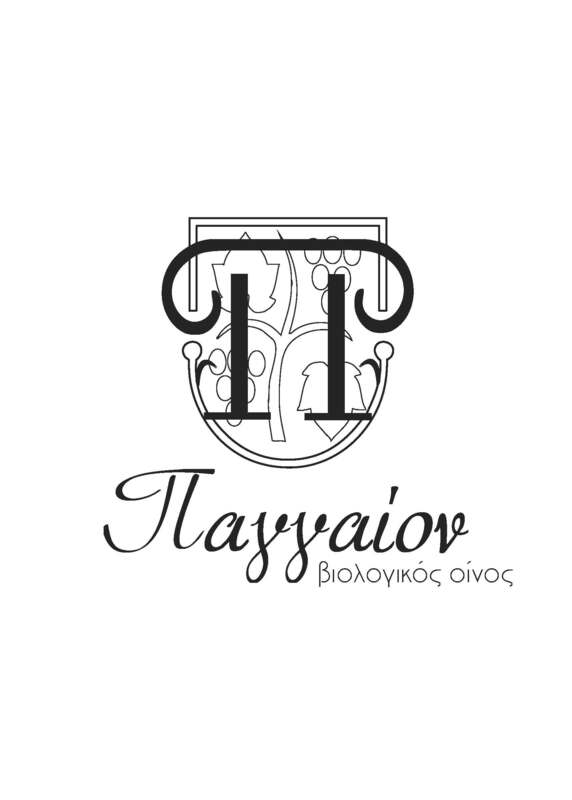 Δραστηριότητα TO FILEMA TIS LELAS, was founded in 2012 and is based in Kiato Corinthia - Greece. "Filema" in Greek language means treat (when you offer someone something to eat) and Lela is the name of our mother that taught us how to cook. So, "To filema tis Lelas" means Lela's treat. Our facilities where all our products are being produced meet or exceed the strictest quality standards and health requirements, ensuring that our exquisite products reach you in perfect condition. Our goal is to produce superior quality products in limited quantities, without any compromises in the exceptional quality of the raw materials we use and the meticulous attention we personally ensure during the production stage. We produce jam, chutneys, spoon sweets and high quality sauces using natural fresh ingredients.Our products are made of 100% natural fresh ingredients, with no sugars, colors and preservatives added. Δραστηριότητα Doubia Sparkling Natural Mineral Water owes its uniqueness to a rare and legendary spring in the mountain village of Doubia Halkidiki,since 1445.One of the 3 springs of natural sparkling water in Greece.High in magnesium and calcium,natural carbon dioxide,valuable for the human body,the formation of kidney stones, digestion,satisfaction and delight.Special bubbly power.Modern infrastructure adhering to the strictest of European Standards. Δραστηριότητα E.J. Papadopoulos SA owns 4 production sites in different areas of Greece (Athens,Thessaloniki,Volos,Oinofyta,and in Aspropyrgos).It is the leader in the biscuit industry and a strong player in the bread substitute segment. Fostering a spirit of innovation,growth,and pioneering outlook,it continues to expand into new product categories,such as the 1st ever cereal bar to be made with biscuits,the Digestive Bar (2011) and the launch of packaged sliced bread in 2013. Ε. ΜΑΛΑΜΑΤΙΝΑΣ & ΥΙΟΙ Α.Ε. 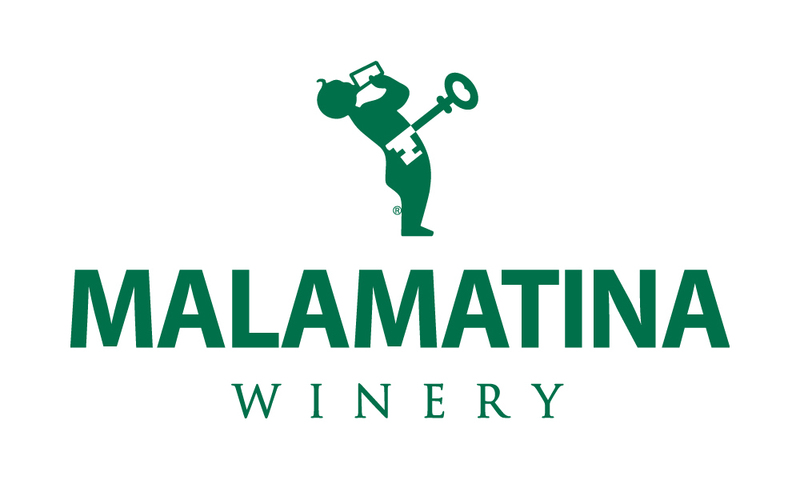 Δραστηριότητα Retsina Malamatina is a white resinated wine,thanks to long history and authentic Greek taste.The Malamatinas family has been producing it for over 120 years now with 3 wineries & one of the largest wine bottling plants.From some of the finest grape varieties of the Greek vineyard, Savatiano and Roditis,a vibrant gold color and a taste all its own.The beneficial qualities of pine resin have been known since the ancient times. "Traditional appellation of a protected origin" . 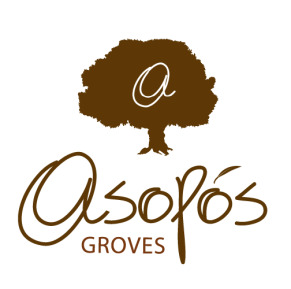 Δραστηριότητα One company ,four olive oil local producers, One premium E.V.O.O The Extra Virgin Olive Oil "ASOPOS GROVES", is produced exclusively by the "Athinolia" and "Koroneiki" varieties, which are in certified and controlled arable land. This product constitutes a Protected Geographical Indication product "PGI Lakonia". We implement the AGRO 2.1 & 2.2 integrated production management system for the proper use of fertilizers and pesticides, while the bottling is done according to the international standards of ISO 22000 & IFS FOOD. 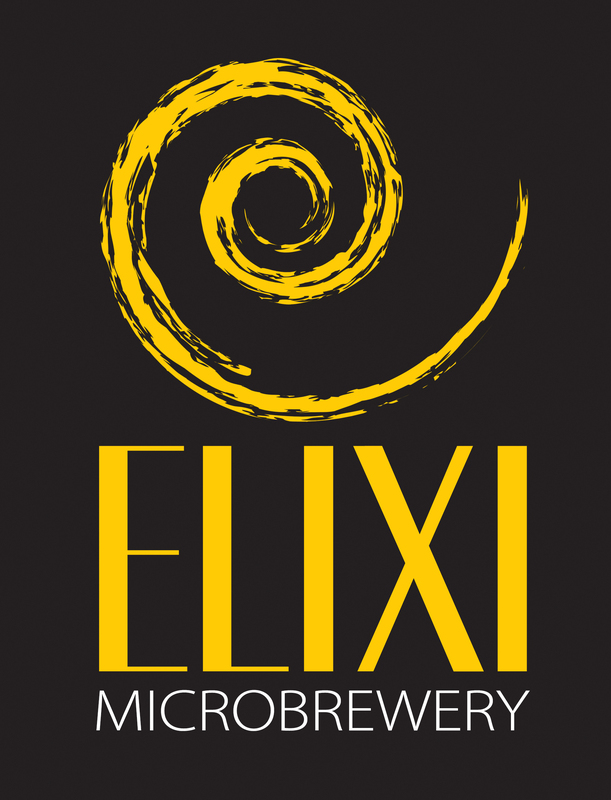 Δραστηριότητα In the beginning of 2014 a small adventure begun, a brand new microbrewery called ELIXI was born in the area of Chalkida. A microbrewery focused on the production of craft beer products characterized by the absence of pasteurization and filtration as well as with the use of the traditional way of fermentation inside the bottle. A family business whose members come from completely different business backgrounds and experiences which can be shown in the diversity of the labels and brands produced. Delphi Beer Series is developed with refined tastes, gastronomical character, Mediterranean temperament and a stylishly minimal packaging. Marea Beer Series has a more artistic character, strong tastes and labels inspired of comics and an urban street art culture. Δραστηριότητα Hellenic Fine Oils SA is active in the production and bottling of olive oil, seed oils & delicatessen products, with presence in more than 40 countries. It is also specialised in the production of professional products in all categories of oils. Δραστηριότητα The Eureka Group, invests in the triptych of people, quality and trust and aims to continue and expand its dynamic presence in the Greek, Cypriot and Romanian markets. At the same time it strengthens the Group's exports to international markets and its operation in Business to Business and Private Label. 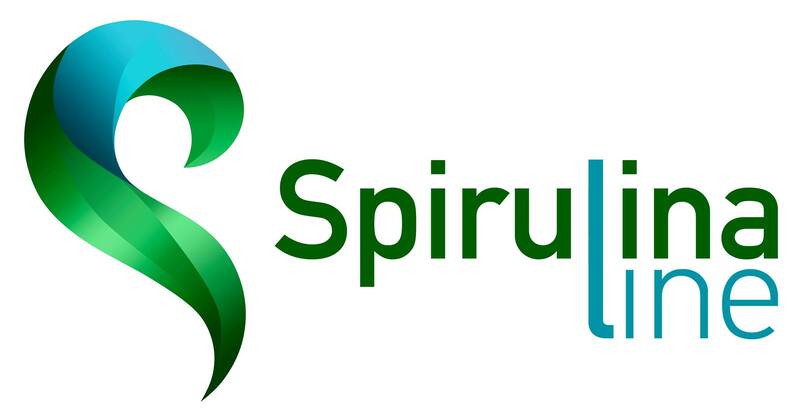 Leader in Branded & Private Label "	Liquid detergents "	Laundry additives "	Aerosols ( Air Care & Insecticides ) "	Household Cleaners Founded almost 60 years ago, Eureka is today a leading player in household care products in Greece, Cyprus and Romania. 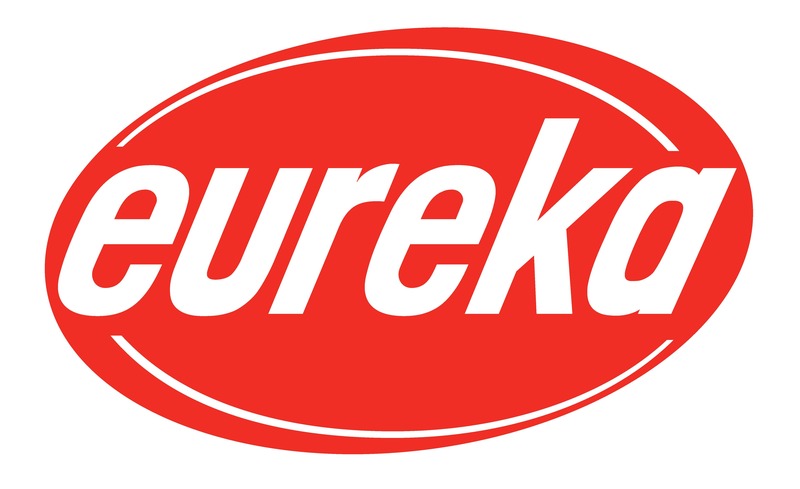 With 500 employees, 2 manufacturing sites and 3 R&D and innovation hubs, Eureka is a modern IFS certified company, a key European player in cleaning products, detergents, air fresheners and insecticides.The company's long term clients include some of the top European supermarket chains for their private label range as well as many local companies for contract manufacturing. 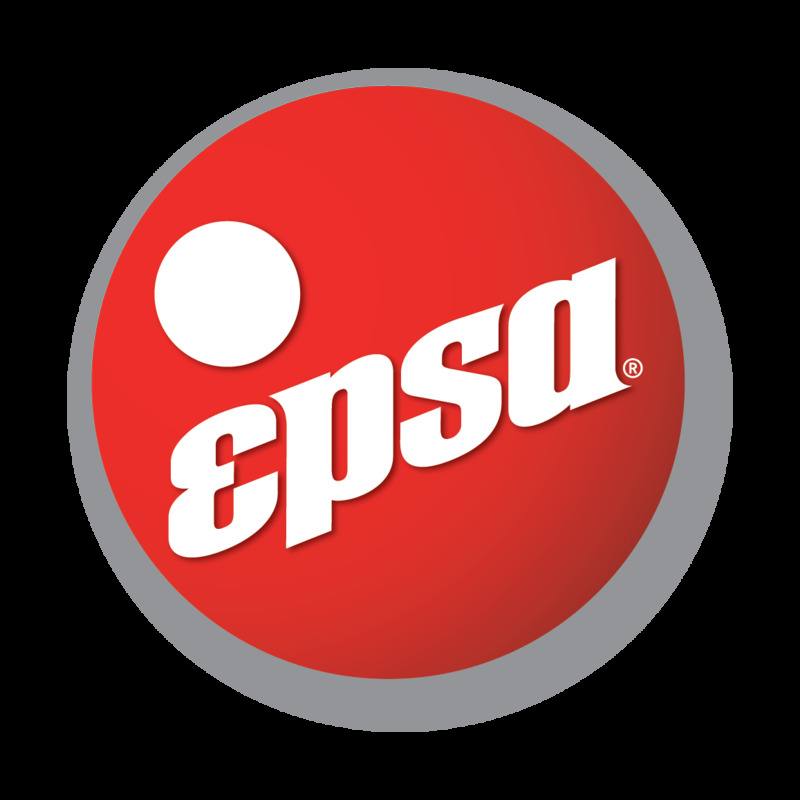 Δραστηριότητα EPSA soft drinks are famous in Greece for their great taste and high quality for more than 90 years. Our premium glass bottle is very well known for its unique shape. Our orangeade and sour cherry drink have 20% juice and our lemonade 7% lemon juice. We are also very proud for our new Organic products, EPSA Bio Lemonade and Orangeade, and our brand new product line "EPSA Light with Stevia". Δραστηριότητα Αναλαμβάνουμε υποθέσεις αστικού, εμπορικού, τραπεζικού, εργατικού, ναυτικού, φορολογικού και τελωνειακού δικαίου. Με ανθρωποκεντρικό χαρακτήρα και ομαδικό πνεύμα παρέχουμε υψηλού επιπέδου νομικές υπηρεσίες, απόλυτα προσαρμοσμένες στις απαιτήσεις κάθε πελάτη. Κύρια χαρακτηριστικά της εργασίας μας είναι η υπευθυνότητα, η ταχύτητα και η εχεμύθεια. 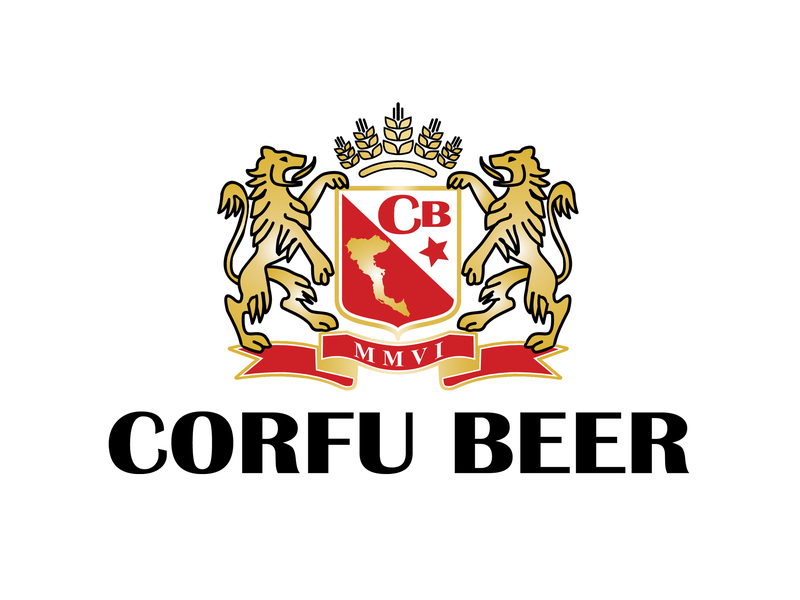 Δραστηριότητα Corfu Beer was founded in 2006 in Corfu Island, Greece. 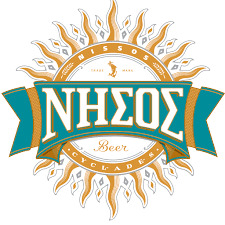 The HQ of the company and the brewery is located in Arillas, a small village in the Northern West side of Corfu. Our brewery has modern facilities with top of the line equipment and fully qualified staff. We are currently producing eight different types of fresh, unpasteurized and unfiltered beer products and three types of premium soft drinks. Our philosophy is to provide unique and high quality products, focusing always on their fresh and natural characteristics. We constantly invest in innovation, in order to enrich the range of our products following the needs of the market and create new trends. 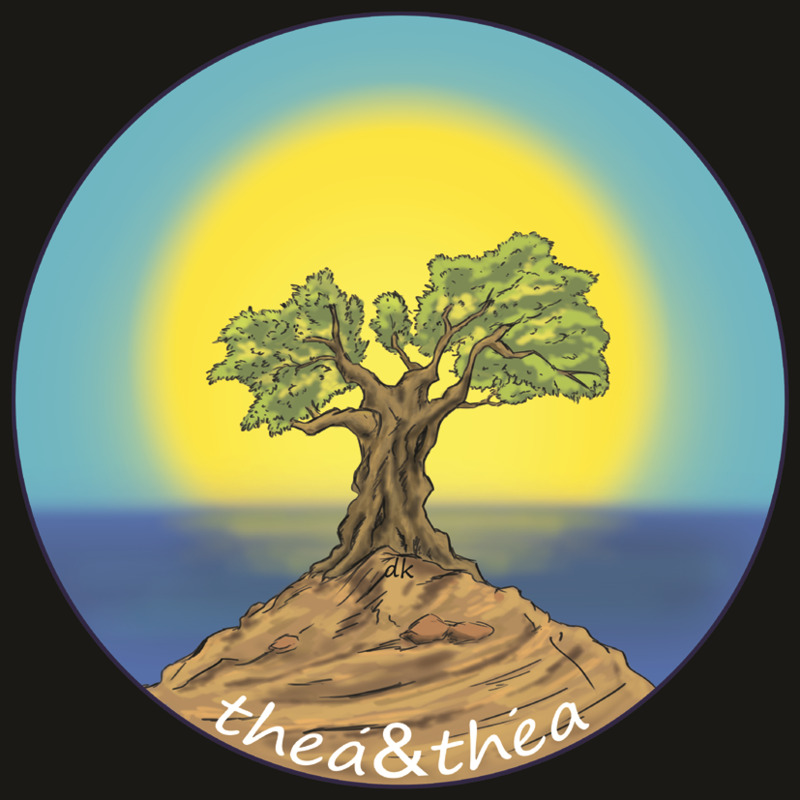 Δραστηριότητα Eva-Maria Boehme and Harry Antoniou's vines today stand in harmonious ranks in Megara, on the sun kissed slopes between the Bay of Salamina and the Bay of Corinth, surrounded by towering pines and old olive groves. The Domaine covers an area of some 18 hectares. The rows of vines are divided up by small paths, lined with rosemary and lavender, brightly coloured roses and sweet scented mimosas, almond and pomegranate trees. The vineyards were planted back in 1988, with a total of 9 indigenous and international grape varieties, extending to an altitude of 400 m, in an area situated between the communities of Pefkeneas and Mourtiza. The otherwise poor soils at Megara are rich in calcium, sand and minerals and the climate in the area, with its cool summers and mild winters, is ideal for cultivating vines. "Our grapes are like our children, because only a good vineyard produces good wine," is a philosophy these two passionate winemakers strongly believe in. Δραστηριότητα On the ancient plain of Oia, in the island of Santorini, the winery of DOMAINE SIGALAS can be found. Here, the most vibrant variety of the Mediterranean zone, the Santorini Assyrtiko as well as the Aidani, Athiri,Mandilaria and the Mavrotragano are put to the best use possible, and with the proper respect to their organoleptic characteristics, the quality wines are produced which receive acclaim in international competitions, both in Greece and abroad.The wines are exported to Germany, France, Belgium, Austria, Holland, England, Cyprus, Switzerland, Hong-Kong, Shanghai, Sweden, Singapore, Australia, Brazil, USA and Canada. Today, DOMAINE SIGALAS continues to implement its growth plan, based on the three principles on which it was created: a creative relationship with the traditions of the island of Santorini, technical savvy and quality. Δραστηριότητα The main philosophy of the Ktima is to promote the richness of the Greek and international varietals. The indigenous varietals provide a unique and distinct as well character to the worldwide vineyards. 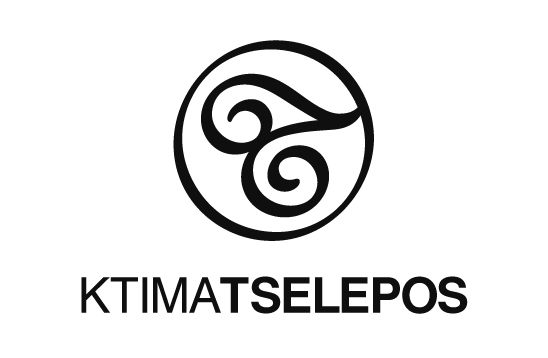 Today, Ktima Tselepos with a total of 40 private-owned hectares of vineyards is being completed with an addition of a new estate by the name of Ktima Driopi. The estate is located in the Koutsi area of Nemea and covers an area of 10 hectares of private-owned vineyards. The winery's attribution has increased gradually with an annual production of 350,000 bottles, therefore allowing 40% of its total production to be exported around the world. 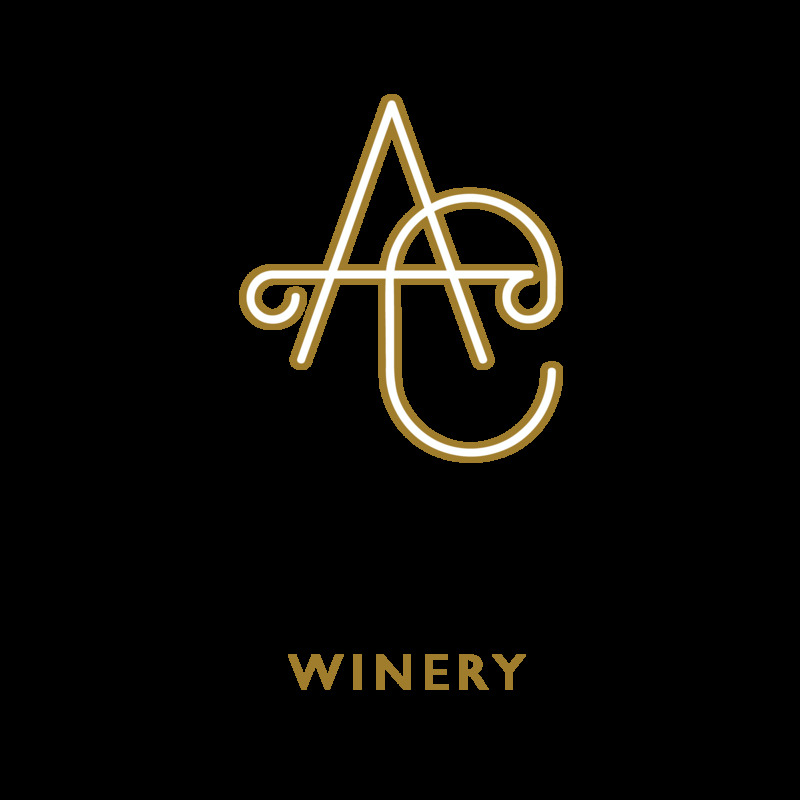 The winery's wines have been distinguished and awarded with many medals in different international wine competitions. 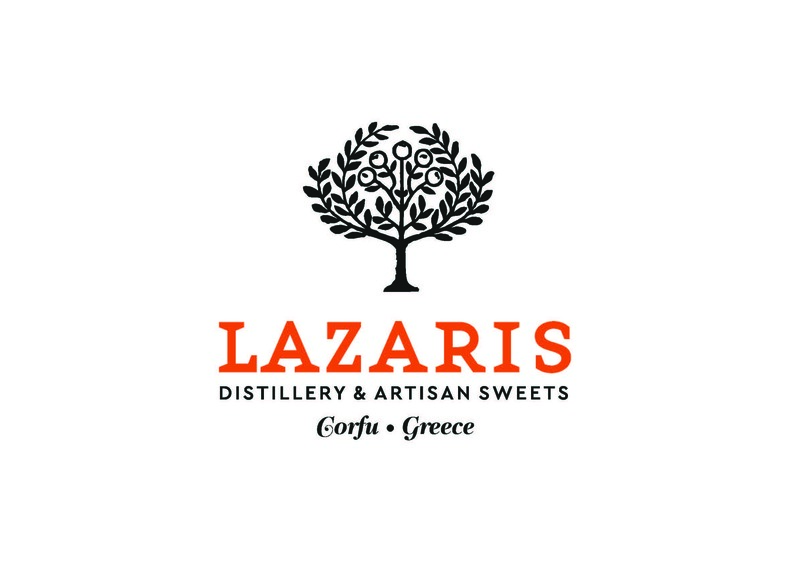 Δραστηριότητα LAZARIS DISTILLERY & ARTISAN SWEETS is a company located in Corfu island that focuses on the local gastronomic tradition. Corfu's traditional drink, the kumquat liqueur, as well as other spirits and homemade sweets are manufactured with the authentic recipes reviving flavors and scents of the past. Δραστηριότητα MEVGAL is the biggest dairy industry in Northern Greece. Its products portfolio includes: fresh pasteurised and ESL milk, yogurts, cheeses and desserts. Since 1950, the company delivers its fresh products to thousands of sales points across Greece and more than 30 countries all over the world. Δραστηριότητα Η εταιρία μας Κ.Μπελίτσης ιδρύθηκε το 1977. Έχει αντικείμενο την κατασκευή επίπλων κουζίνας, ντουλαπών υπνοδωματίου, εσωτερικών και θωρακισμένων πορτών και επίπλων μπάνιου. Επιπλέον η μεγάλη μας εμπειρία στο χώρο των ξύλινων κατασκευών, μας επιτρέπει να σχεδιάσουμε λύσεις και να κατασκευάσουμε προτάσεις για κάθε χώρο του σπιτιού. Το κάθε έπιπλο σχεδιάζεται και κατασκευάζεται στον εργοστασιακό μας χώρο αποκλειστικά για σας, από υλικά κορυφαίας ποιότητας και από μαστόρους με γνώση και μεράκι. Η μεγάλη εμπειρία μας στην επεξεργασία του ξύλου και η μακρόχρονη παρουσία μας στην αγορά μας επιτρέπει να σας προσφέρουμε: o Μεγάλη γκάμα ποιοτικών προϊόντων o Εξιδεικευμένες συμβουλές o Ισόβιο σέρβις για τα προϊόντα μας & o Ανταγωνιστικά κοστολόγια. Δραστηριότητα Gerentes Family olive trading tradition goes back five generations, when our grandfathers from a village near Amfissa - Fokis at central Greece, were among the first to trade olives outside Greece to other countries. Τoday, the succeeding generations still continue with the same passion and enthusiasm to serve our clients around the world for their olive needs, respecting tradition and above all, paying attention to the quality of the olives we offer. 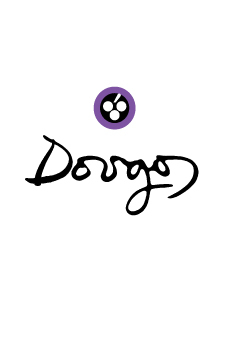 Δραστηριότητα It was in 1992 that the Dougos family embarked on its trip to the world of Greek wine. A trip meant to develop into a fascinating creation of vineyards and top quality wines. The company's primary concerns have always been the wish for development of wine quality. The winery is located at the foot of mountain Olympus , in the magical Tempi valley. The winery is, however, equipped with all the latest technological machinery used for a modern vinification, always respectful of the environment. The vineyards are found at an altitude of 550 m on the north-east Olympus slopes, in an area called Prosilia Rapsani. The cultivation is dry and organic which yields no more than 5-10 tn/ha. The varieties cultivated are both Greek- Xinomavro, Krassato, Stavroto, Limniona, Roditis, Assyrtiko, Batiki- and French- Syrah, Merlot, Cabernet sauvignon, Cabernet franc, Grenache rouge. Δραστηριότητα Olympic Brewery is a strong and reliable company in the domestic beer market, combining the Greek DNA and the global imprint of the Carlsberg Group dynamics.Our company owns two proprietary production sites in Sindos, Thessaloniki and Ritsona, Evia, with a capacity of 2.2 million hectoliters per year. Meanwhile, Olympic Brewery exports two of the world's most recognized brands, Mythos and Fix beers. Olympic Brewery boasts a wide network of partners, vendors and points of sale both in Greece and abroad, operating in 34 countries worldwide, and offering its quality products to thousands of customers on a daily basis. Δραστηριότητα We are a family owned company. 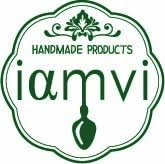 We produce handmade natural beauty products like soap bars, shower gels, liquid soaps, bath salts, bath bombs, after shave balms, body butters, beeswax salves etc. 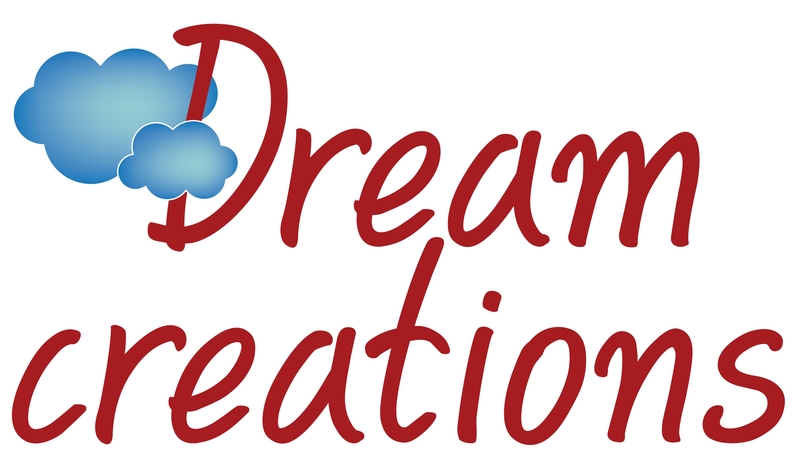 We also make glycerin soaps for several occasions like souvenirs, business gifts, wedding & christening favors. Δραστηριότητα Η εταιρεία Παγγαίον ΑΕ, δραστηριοποιείται στον χώρο της βιολογικής καλλιέργειας αμπέλου στο όρος Παγγαίο στην περιοχή της Καβάλας.Οι προδιαγραφές για την αναγνώριση βιολογικού οίνου δεν περιορίζονται μόνο στην καλλιέργεια του αμπελώνα όπως ίσχυε μέχρι το 2012, αλλά και στην ίδια την οινοποίηση. Συγκεκριμένα στην καλλιέργεια δεν επιτρέπεται η χρήση χημικών λιπασμάτων αλλά μόνο εγκεκριμένων λιπασμάτων. Σκοπός μιας τέτοιου είδους καλλιέργειας, είναι η διασφάλιση της αειφόρου εκμετάλλευσης της γης με τεχνικές και πρακτικές που δεν βλάπτουν καθόλου τον άνθρωπο και το περιβάλλον. Υπάρχουν συνέπειες στην ποσοτική απόδοση της καλλιέργειας, οι οποίες αντισταθμίζονται όμως από την προστασία της ανθρώπινης υγείας και του περιβάλλοντος. Έχουμε την πιστοποίηση της ΔΗΩ , οργανισμό βιολογικών προϊόντων, η οποία δίνεται και σε κάθε μας συνεργάτη. Δραστηριότητα Η οικογενειακή μας επιχείρησή IAMVI εδρεύει στην Πάτρα και παράγει με αγάπη παραδοσιακά χειροποίητα γλυκά κουταλιού, μαρμελάδες και σιρόπια, χωρίς κανένα συντηρητικό (χωρίς χρωστικές, γλυκόζη ή τεχνητή γεύση) επιλέγοντας προσεκτικά τους αγρότες με τους οποίους συνεργαζόμαστε. Έχουμε διακριθεί, με το δεύτερο βραβείο σε γκουρμέ διαγωνισμό στο Παρίσι το 2016, διοργανωτής του οποίου ήταν το περιοδικό ''le monde de l'?picerie fine'', ενώ από τον GREAT TASTE AWARDS , τον πιο πολυπόθητο διαγωνισμό τροφίμων του κόσμου, στο Λονδίνο απονεμήθηκαν σε 4 προϊόντα μας ''IAMVI'' χρυσά αστέρια, μέχρι σήμερα και συνεχίζουμε. Τα προϊόντα μας έχουν επίσης επιλεχθεί από διάφορους πελάτες σε Ελλάδα και εξωτερικό να συμπεριληφθούν σαν ένα από τα προϊόντα στο καλάθι για τα εταιρικά τους δώρα. Δραστηριότητα Η εταιρεία μας αποτελεί μια από τις δυναμικότερες ελληνικές επιχειρήσεις, στην καλλιέργεια, μεταποίηση και εμπορία, ελληνικών βιολογικών υπερτροφών, όπως Γκότζι, Αρώνιας, Ιπποφαούς, Τρούφας, καθώς και μιας πλειάδας βιολογικών αρωματικών φυτών της Ελληνικής γης και μόνο. Επίσης έχει συνάψει συμφωνίες & συνεργασίες, με άλλους 55 βιοκαλλιεργητές της Β.Ελλάδας, ενώ ταυτόχρονα, δημιουργήσαμε στον Λαγκαδά Θεσσαλονίκης, πιστοποιημένη βιολογική μονάδα επεξεργασίας φαρμακευτικών και αρωματικών φυτών, αιθέριων ελαίων, εκχυλισμάτων και χειροποίητων φυτικών καλλυντικών. Αυτή την στιγμή η εταιρία διαθέτει 108 ενεργούς προϊοντικούς κωδικούς, συνεργαζόμαστε με καταστήματα και εταιρίες διανομής βιολογικών προϊόντων, αλυσίδες σουπερμάρκετ, σημεία και αλυσίδες διανομής προϊόντων HORECA, ενώ βρισκόμαστε στα ράφια φυσικών και ηλεκτρονικών καταστημάτων, σε άλλες 13 χώρες εκτός Ελλάδας. Δραστηριότητα Μαγικό ταξίδι στα μονοπάτια της γεύσης με σύντροφο τον ελληνικό ήλιο... πολύτιμες σταγόνες, που κρύβουν μέσα τους αιώνες παράδοσης . μυστικές συνταγές φτιαγμένες με μεράκι που περνούν από γενιά σε γενιά... Ούζο 7... κάνει φίλους !!! 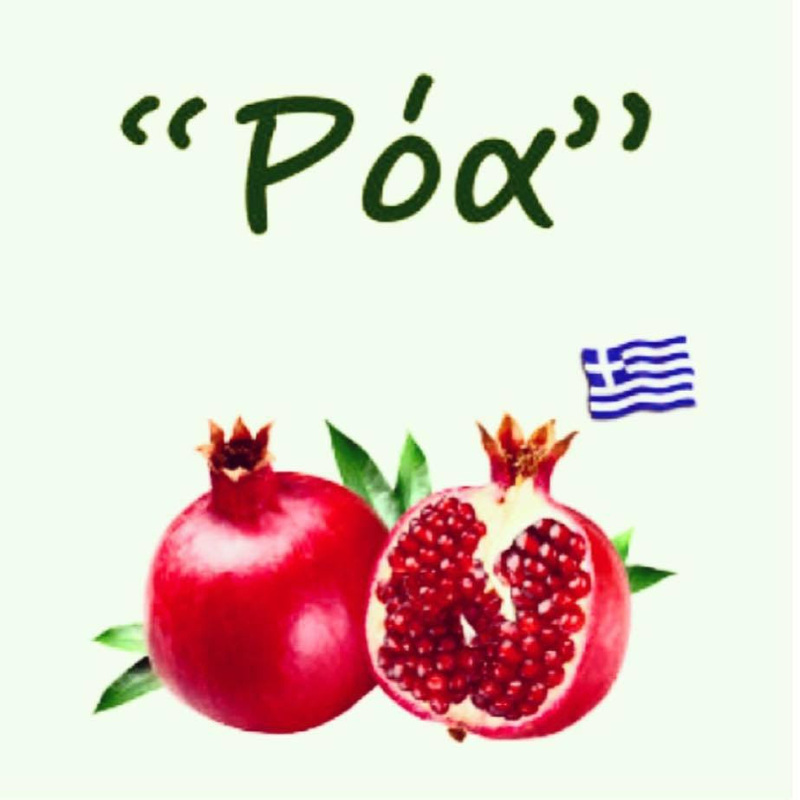 Δραστηριότητα Roa is a small family business on a privately owned farm, where our pomegranate trees grow from which we produce 100% natural juice and other derivatives. All from pomegranates! 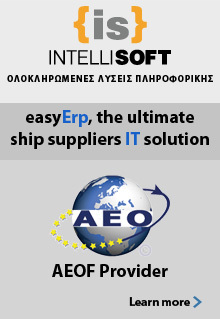 Δραστηριότητα Imports - Representatives - marketing & distribution of frozen seafood. Our philosophy is the provisioning of premium & safe quality standards products, guaranteed by many years experience and dealing with worldwide fish market. The reliability and knowledge has established our company as a total quality professional solution in frozen seafood market. Specializing in fresh frozen seafood on board.Shrimp Atlantic-Argentina-Vannamei, Octopus Morocco-Mauritania e.t.c. Δραστηριότητα S. I. THANOS S.A.I.C. 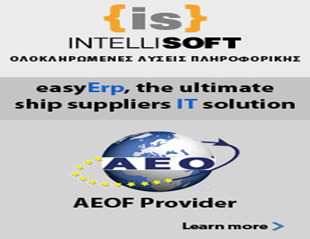 was established in 1986 by it’s present President and CEO Spyros Thanos. Since 1995, the company produces its powder-form products in a specific spray during tower unit, thus offering the Market laundry detergents for washing, which meet the highest quality standards. The plant is located in a private area near Ancient Corinth and disposes owned premises of 8.000 m2 total surface in a field of 40.000 m2. S. I. THANOS S.A.I.C. targets, consist with respect to the customer, in offering high quality goods. The overall quality of its products and services is qualified by TUV according to EN ISO 9001:2008. Δραστηριότητα The company S.KONSTANTINIDIS & Co LTD-PHARMAMEDIHELP certified with ISO and the Pharmacy S.Konstantinidis specialized in supply medical devices and medicines according each flag and directives the Vessels, also provides with the Medical Chest Certificate. Δραστηριότητα We are a small family business which since 2013 is dealing with Greek Traditional Foods. We started as delegates and in 2017 we began producing, based on our own ideas-recipes, handmade chocolates. 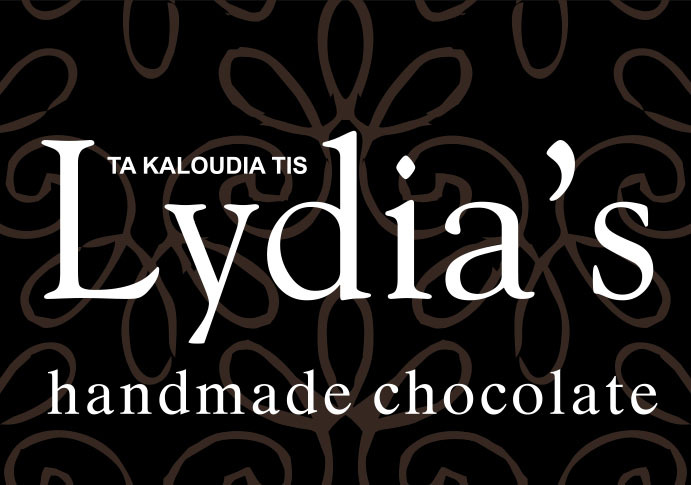 We married chocolate with Greek flavors, such as halva and honey with sesame, or familiar flavors such as raisins, strawberries and biscuits in order to create Lydia's Handmade Chocolate. Our goal is, with stable and careful steps, for people in Greece to know our chocolate and, without lowering the quality of our products, to later expand abroad. . The chocolates we produce are: Milk with strawberry and biscuit, milk with coconut and papaya, milk with waffle pieces, dark with cereal, dark with halva, dark with nuts, dark with raisins, dark with peppers, dark with orange and dark with honey and sesame. 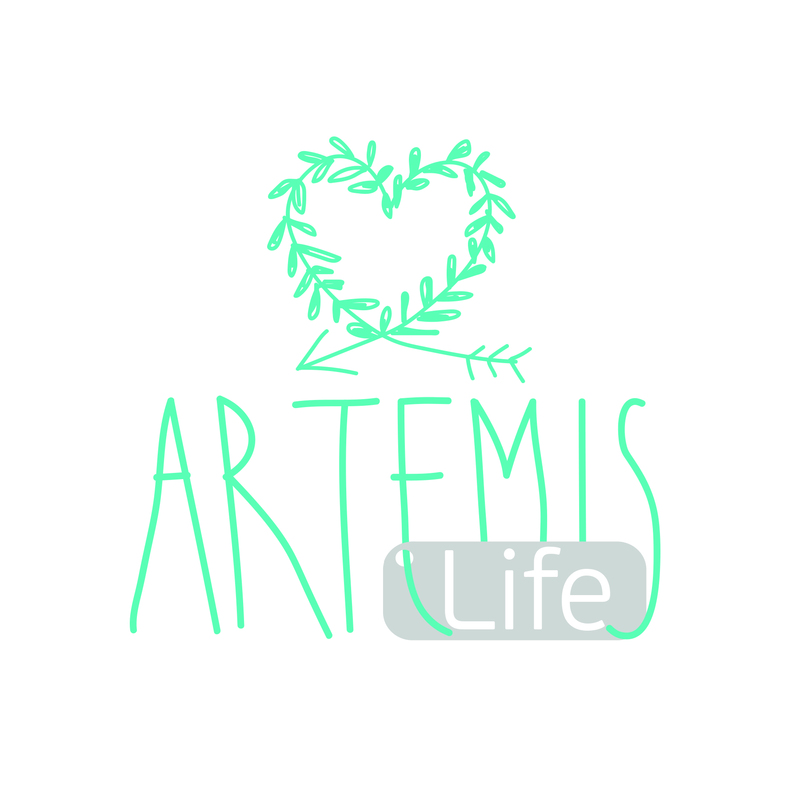 Δραστηριότητα Artemis Life has been founded in 2015 by Theodore and Lia Tsiaousi in Serres, Greece. Our solely handmade products; soaps, beeswax creams and lip balms produced in our fully certified lab located at 4 Grigoriou Rakitzi street in Serres, Greece, our retail establishment is located at the same address. Our philosophy is the creation of handmade products of supreme quality with unique aesthetics for every-day usage. The ingredients in our products are natural and our resources are certified producers and suppliers from Greece. The production and packaging is according to ISO 22716:2007 and is certified by the Hellenic National Organization for Medicines (EOF). The materials we use for packaging are fully recyclable. Our company participates in PETA's programme; Beauty Without Bunnies. 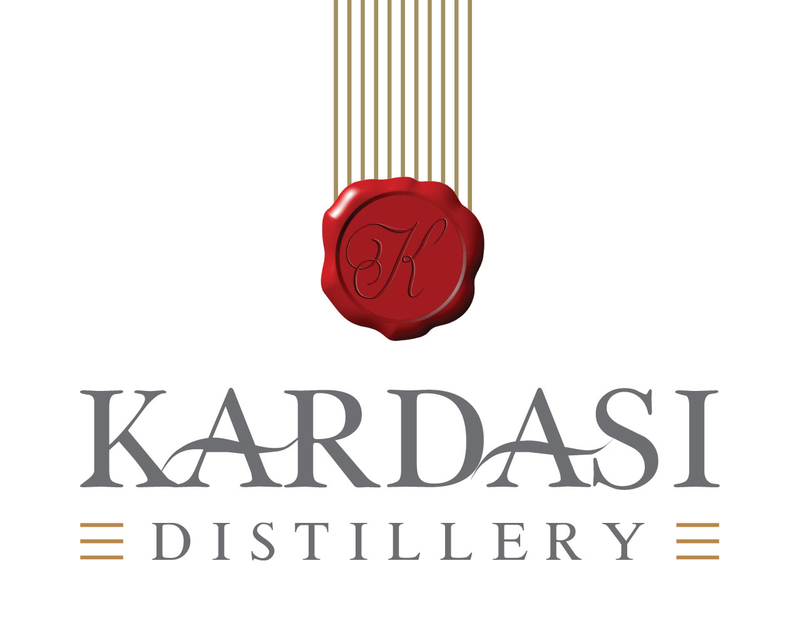 Δραστηριότητα The KARDASI DISTILLERY keeping in mind being consequent and responsible targeting to offer to consumers good quality and safe spirits, like, TSIPOURO TIRNAVOU, AGED TSIPOURO, OUZO TIRNAVOU, BRANDY, MASTIC LIQUEUR , BOTANIC LIQUEUR which have been awarded with gold medals at international competitions. Δραστηριότητα Το φαρμακείο Τσανικλίδη ιδρύθηκε το 1976 από τον Ευστάθιο Τσανικλίδη και μέχρι σήμερα λειτουργεί με γνώμονα την ποιοτική και ταχεία εξυπηρέτηση των πελατών του.Το φαρμακείο μας παρέχει μεγάλη γκάμα καλλυντικών ,παραφαρμακευτικών και φαρμακευτικών προιόντων,σε ανταγωνιστικές τιμές, τα οποία μπορούμε να τα παραδίδουμε χωρίς καμιά επιβάρυνση στις εγκαταστάσεις των εφοδιαστών πλοίων του Πειραιά . Δραστηριότητα Ο Φούρνος μας είναι μια αμιγώς ελληνική και οικογενειακή επιχείρηση στα Σφακιά της Κρήτης. Η αγάπη μας στη μαγειρική ,η εμπειρία των προγόνων μας, και θεωρώντας ότι οι γνήσιες γεύσεις έχουν χαθεί, έχει γίνει όραμά μας να δημιουργήσουμε Ποιοτικά, Γευστικά και Υγιεινά προϊόντα. Ετσι ζυμώνουμε για εσας Χειροποίητα, Χωρίς Συντηρητικά Παραδοσιακά και βιολογικά παξιμάδια , κουλουράκια, κριτσινια και σνακ Επιλέξτε από τη γκάμα μας προϊόντα υψηλής διατροφικής αξίας Χωρίς αλάτι, Χωρίς ζάχαρη, με αλεύρι Ντίνκελ, με Χαρουπάλευρο, με αλεύρι Ζέας, με Βρώμη, με Φαγόπυρο, με Ξηρούς καρπούς.